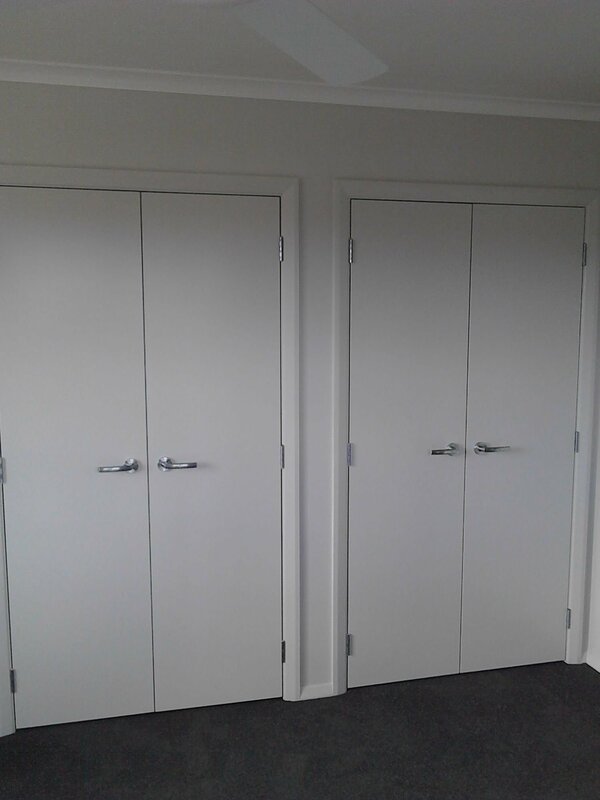 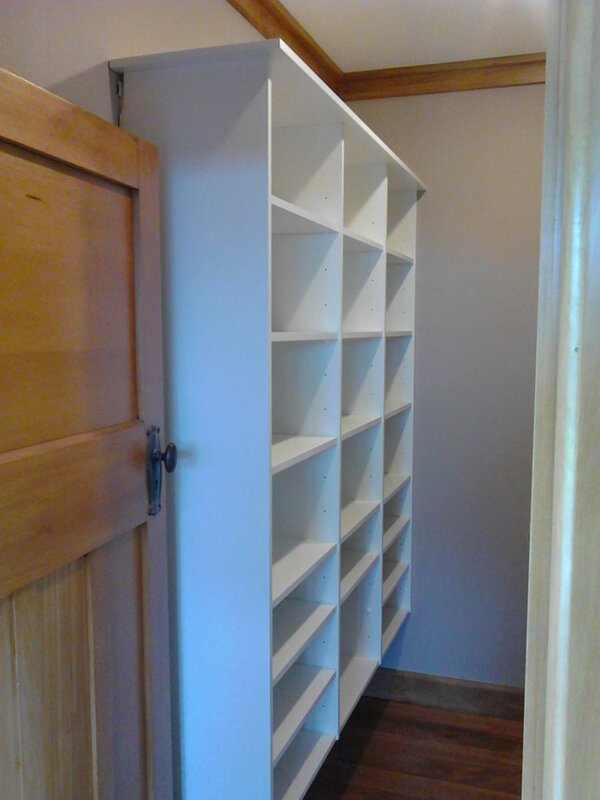 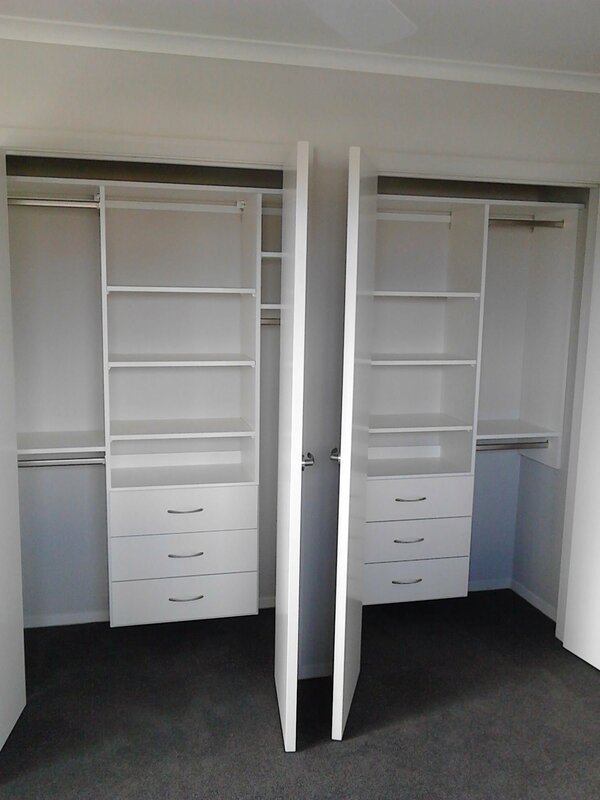 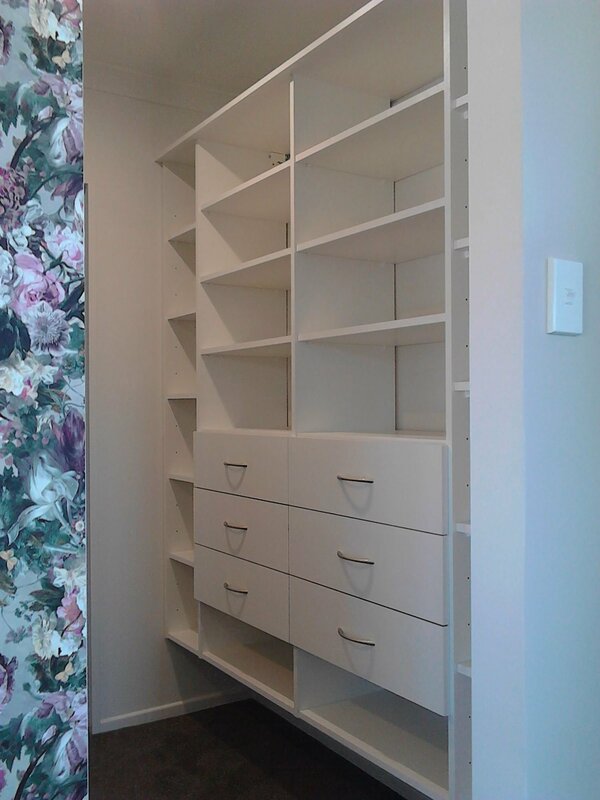 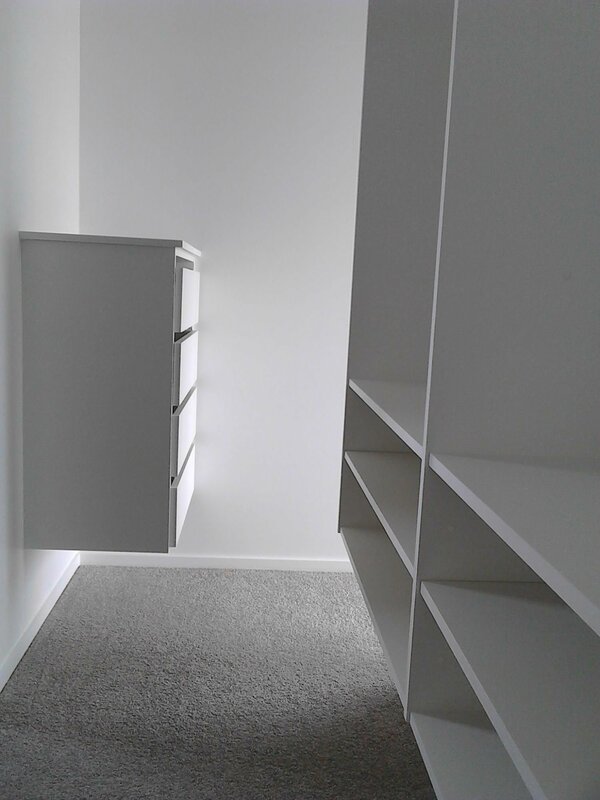 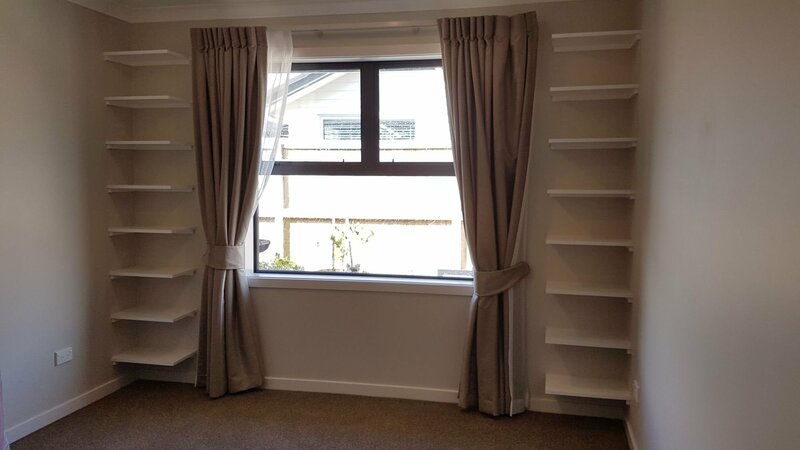 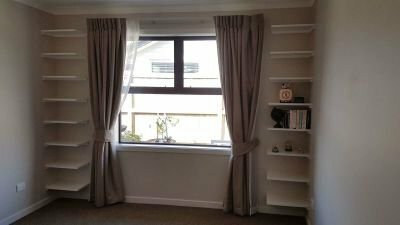 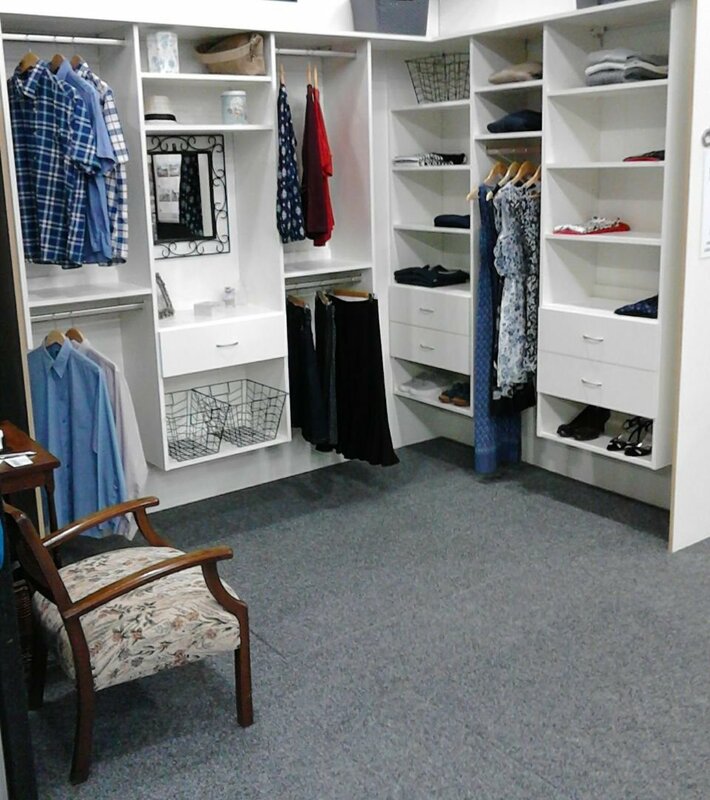 Wardrobe Specialist has been designing, manufacturing and installing storage systems in the Manawatu region (and beyond) for over 25 years. 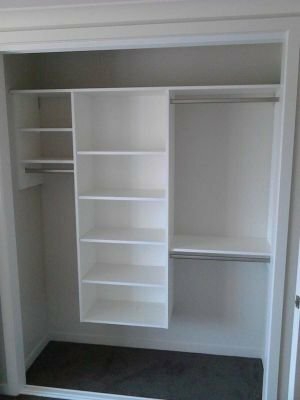 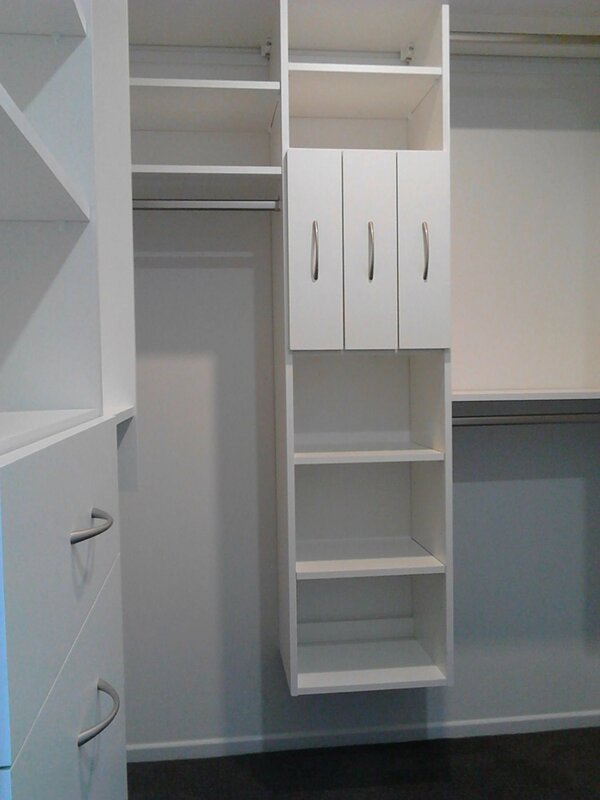 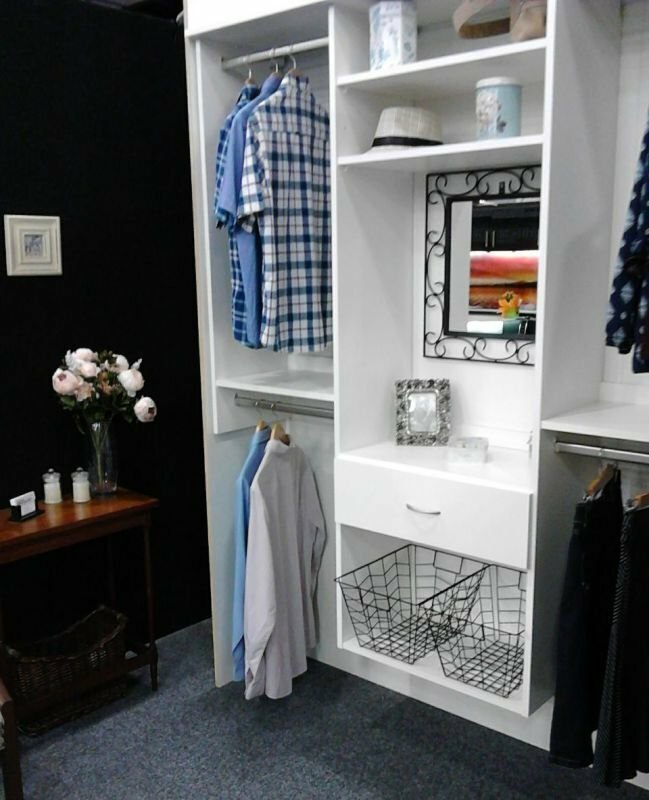 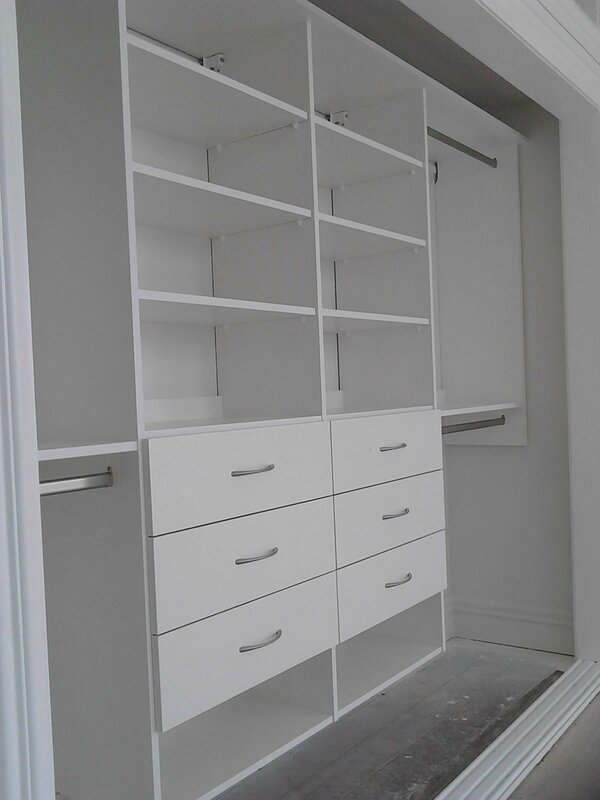 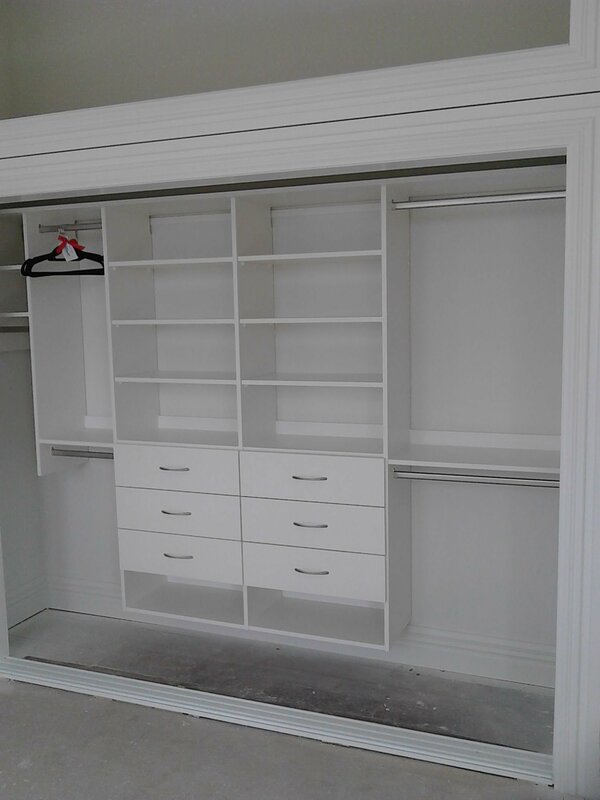 We specialize in walk-in wardrobes and bedroom cupboards, linen cupboards, laundry cupboards and other general storage systems. 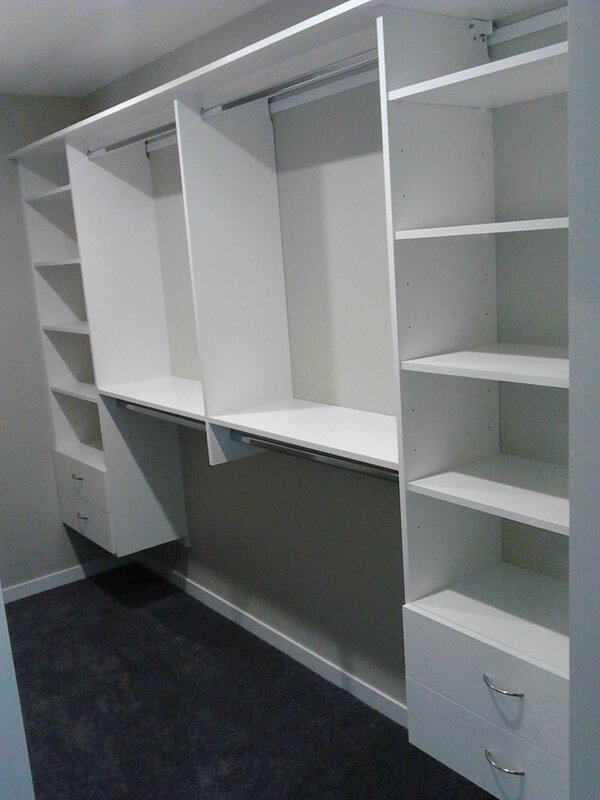 By using our system we will custom design, manufacture and install a storage solution that will best suit your requirements. 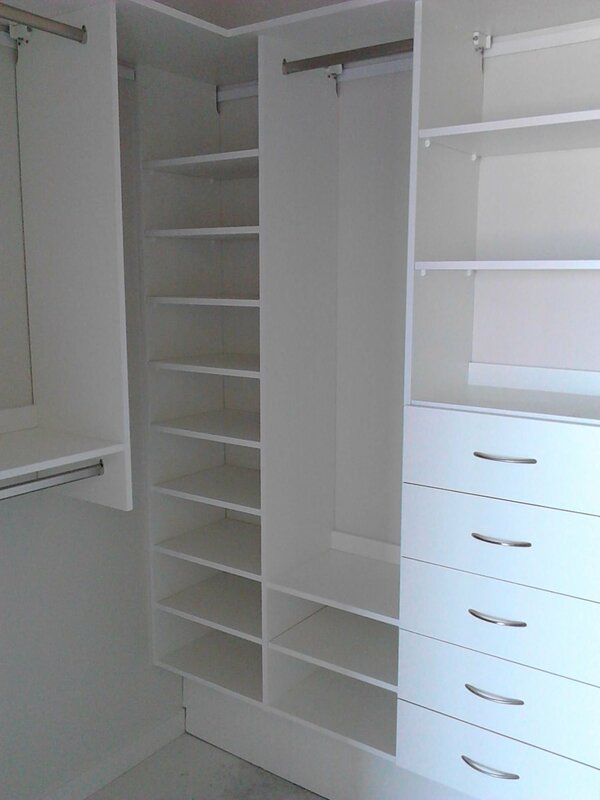 Storage systems can be designed for new home builds or older homes that require a makeover. 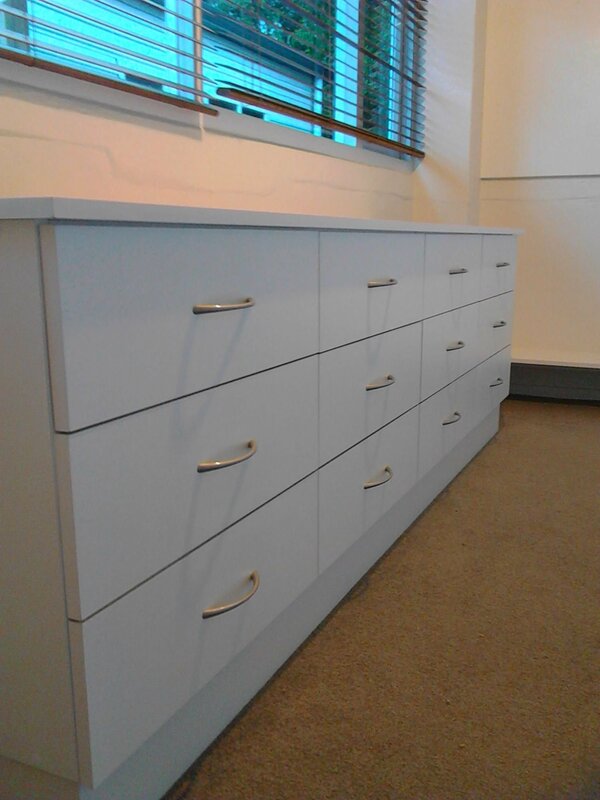 This design includes a dressing unit with mirror and double short hanging on either side. 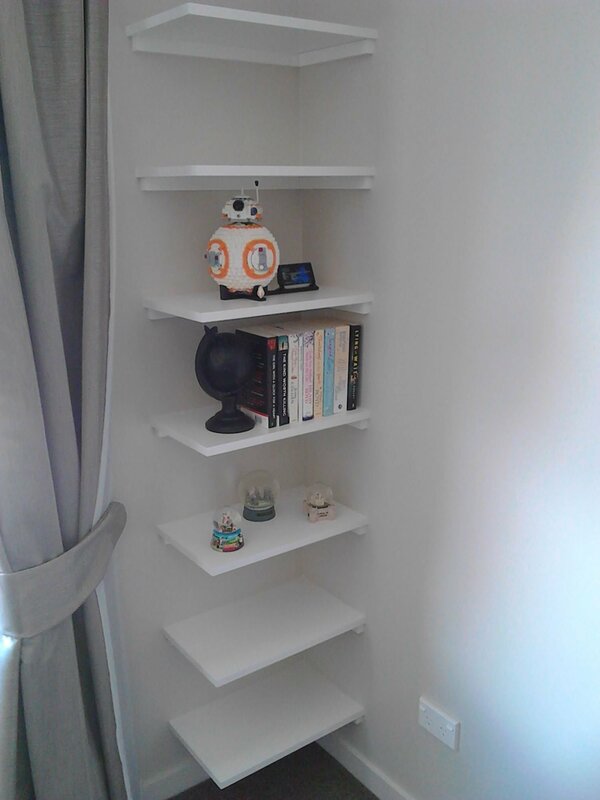 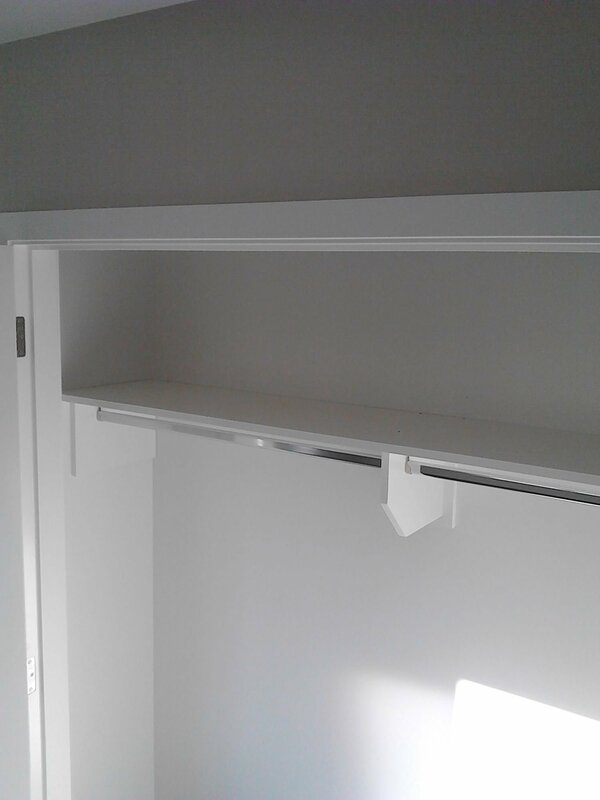 On the other wall are a pair of shelving units which have drawers and a space for shoes, and in between these units is a long hanging space with shelves above. 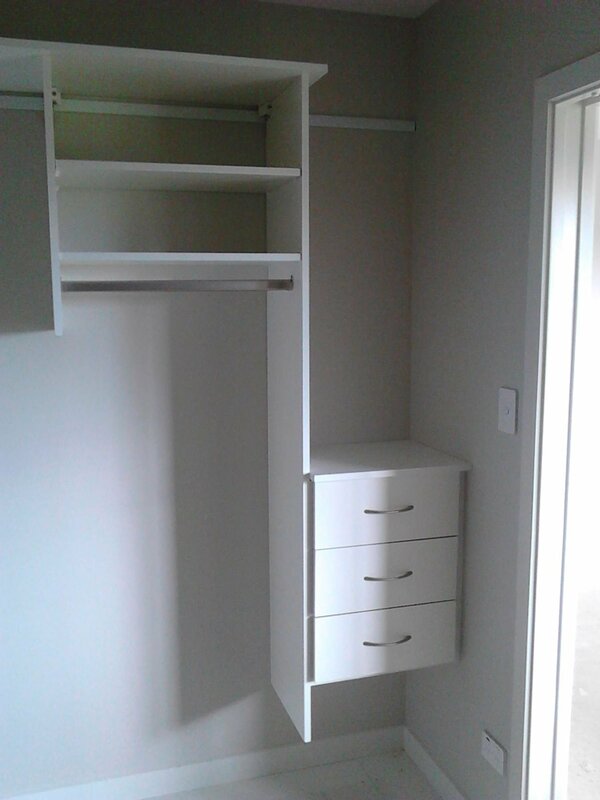 Smaller bedroom wardrobe - basic top shelf with hanging rail. 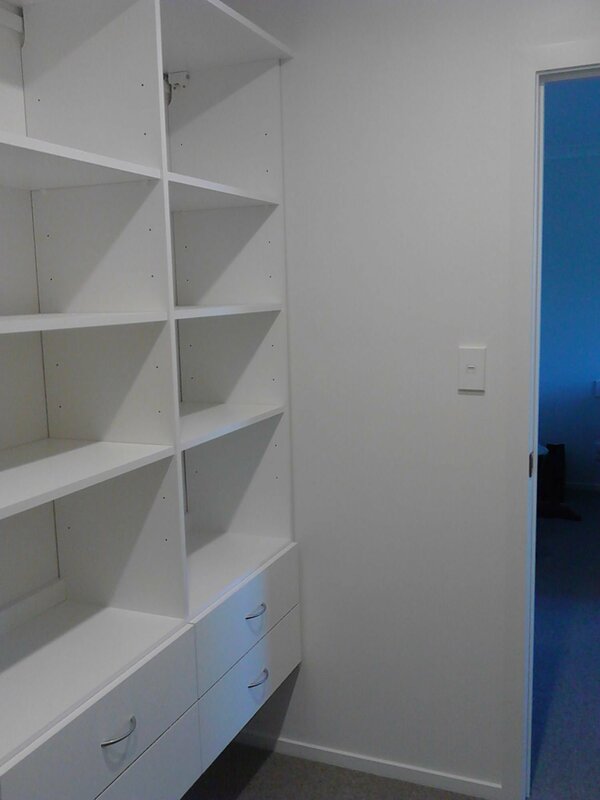 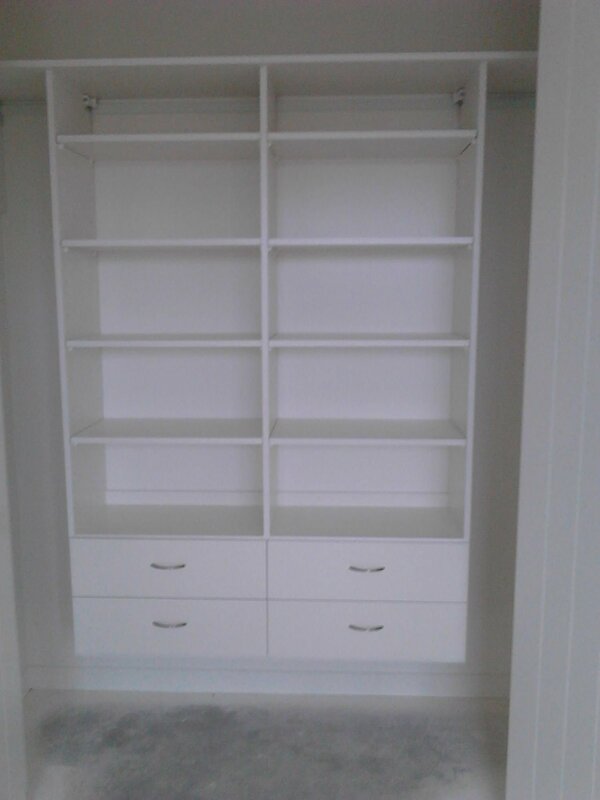 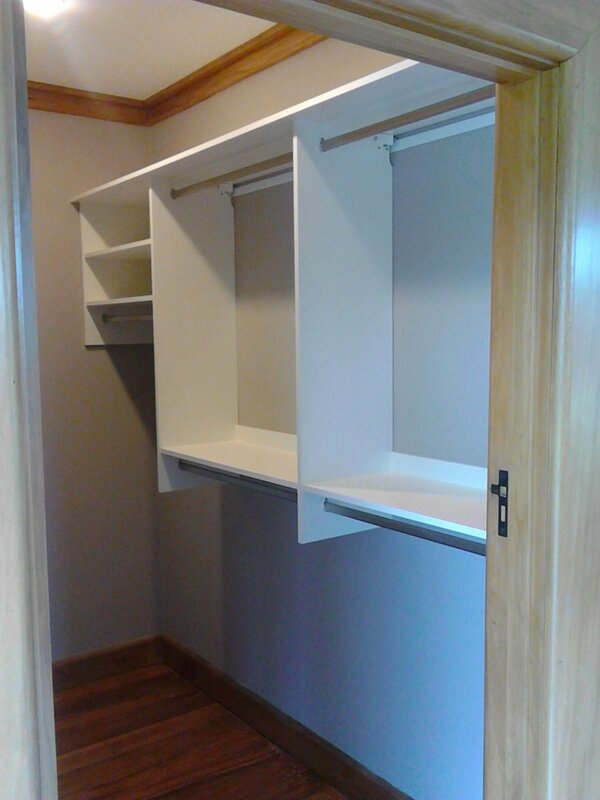 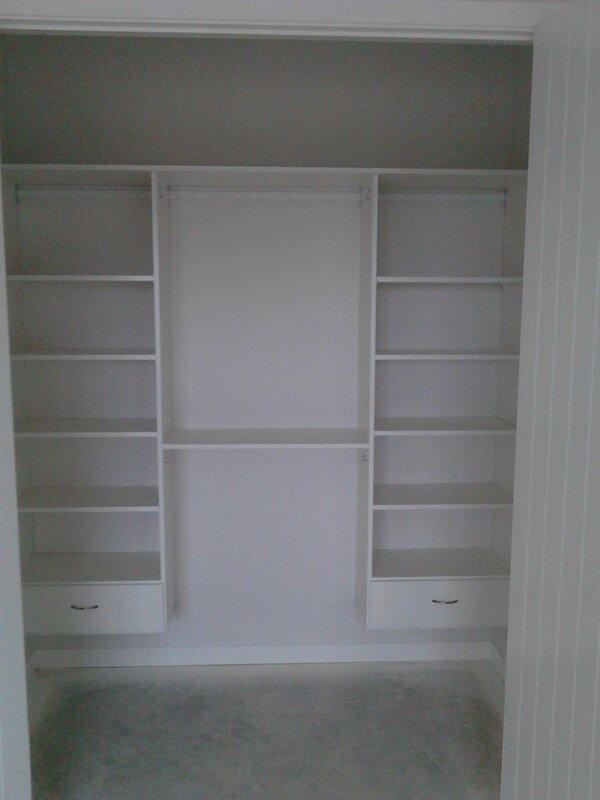 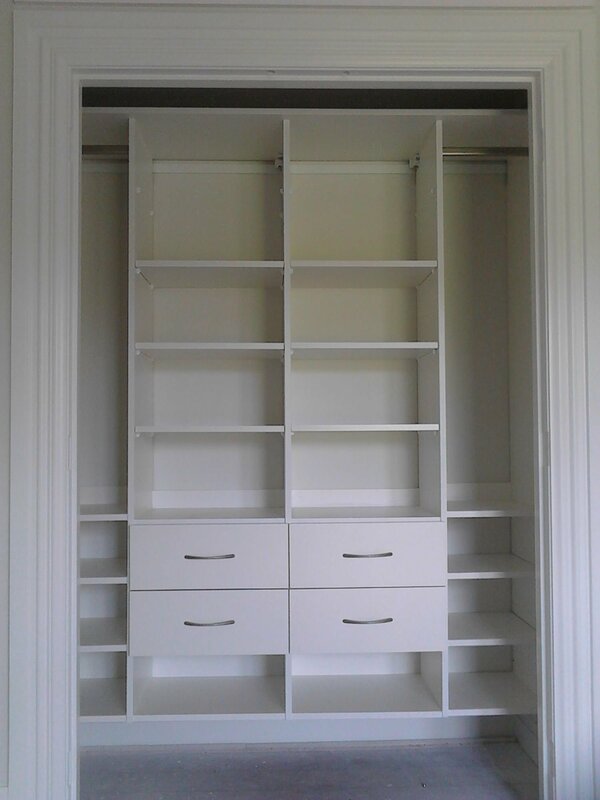 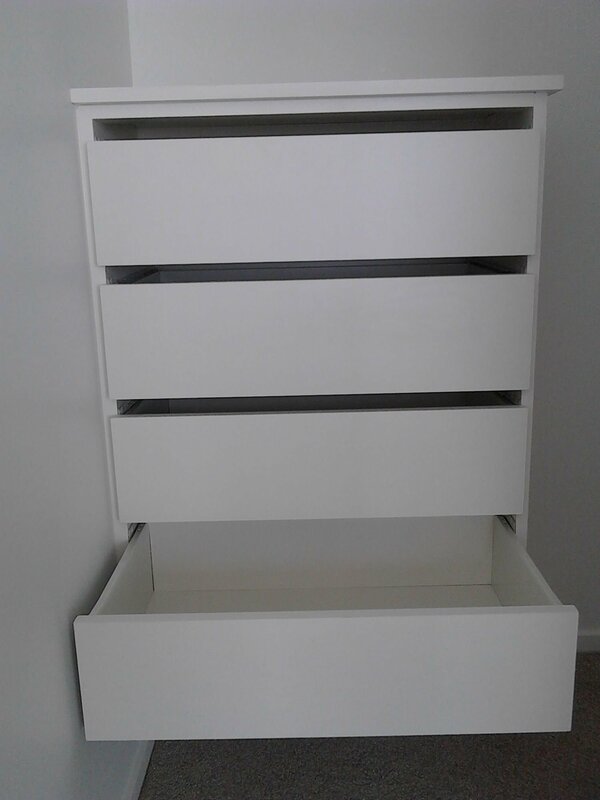 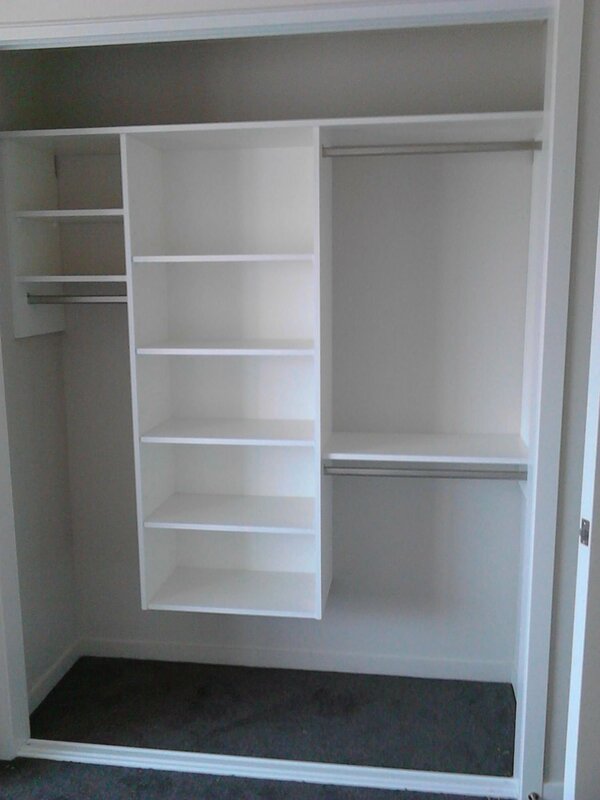 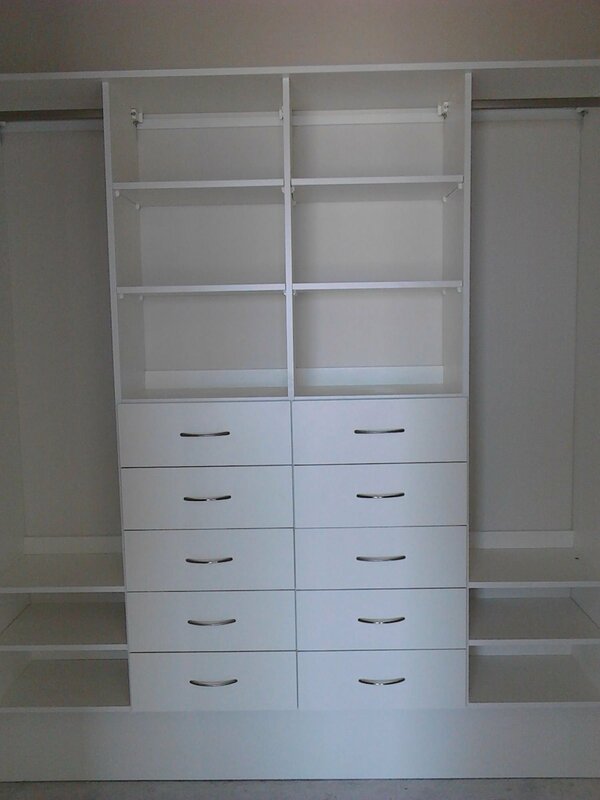 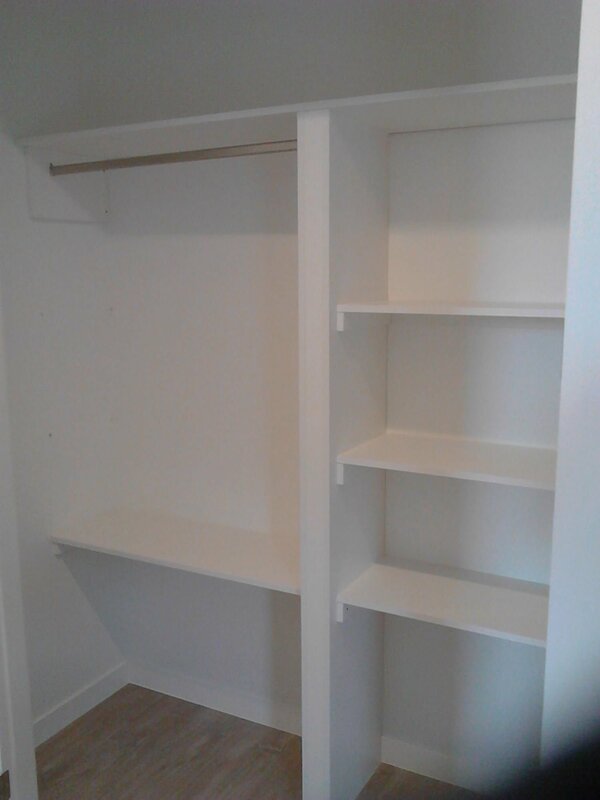 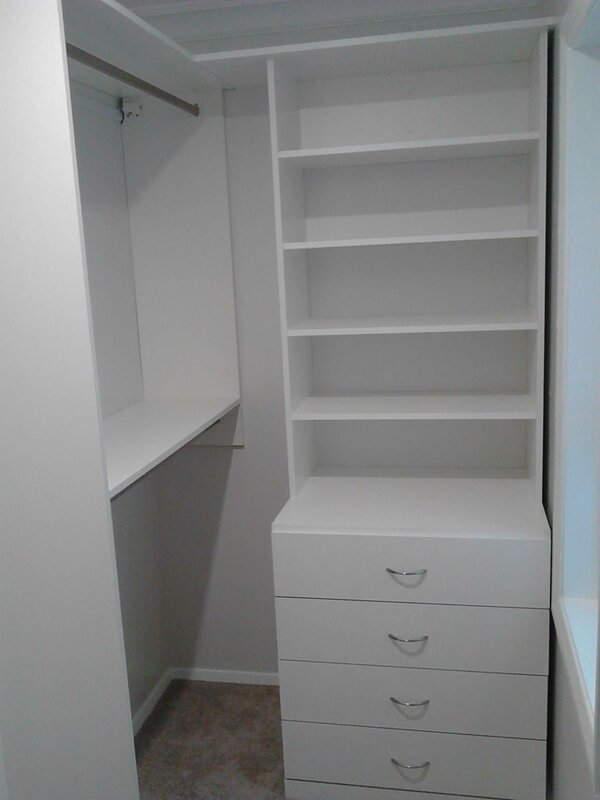 Basic bedroom wardrobe - shelving centered with space for mirror. 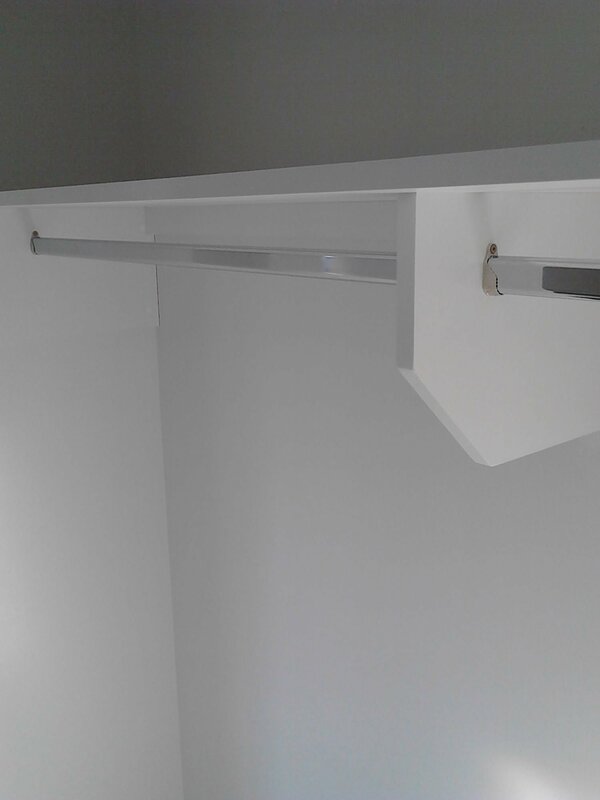 Hanging on either side. 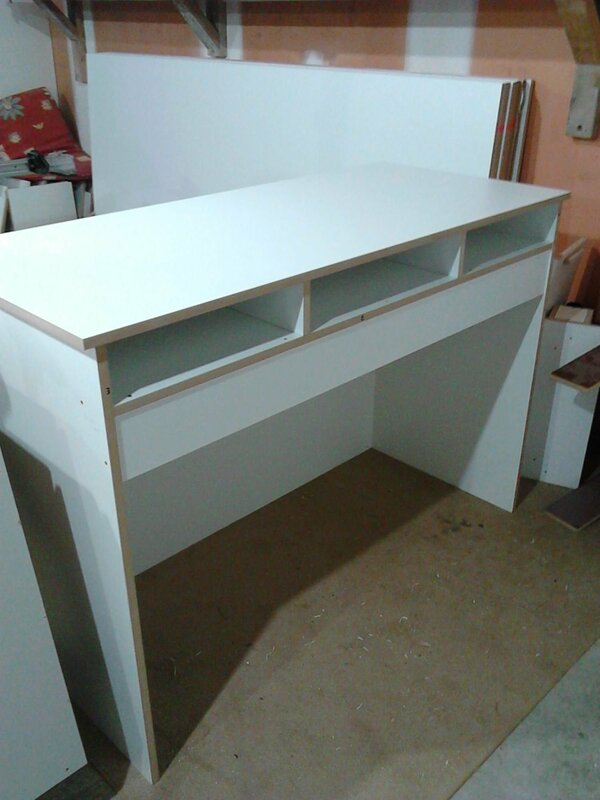 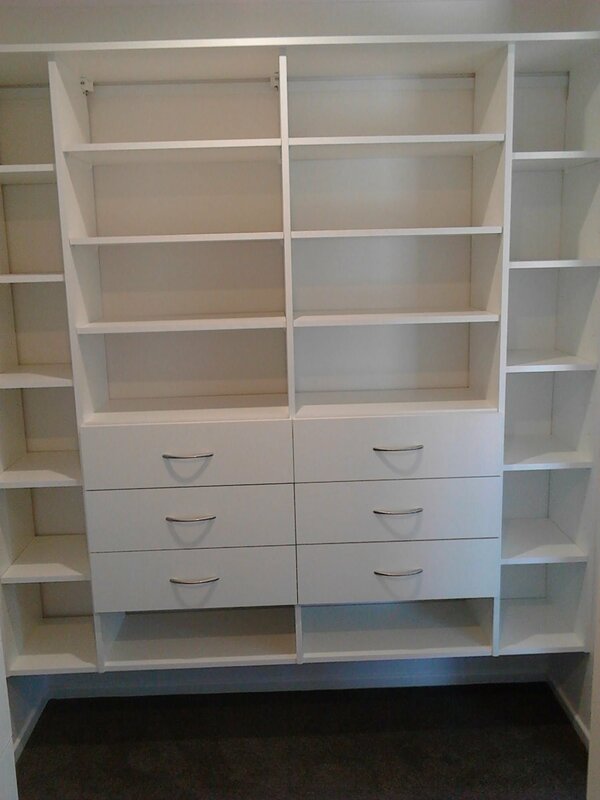 Twin bank of shelving and drawers with double hanging centered. 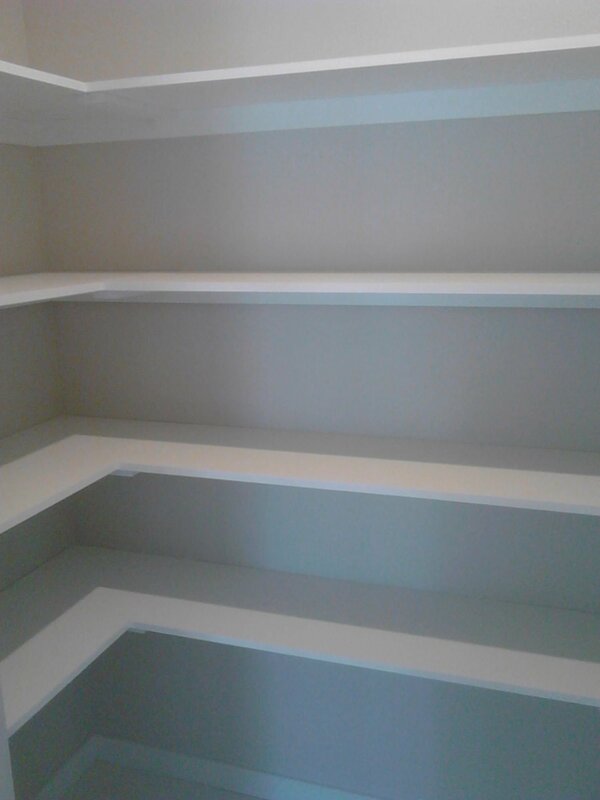 Side-by-side bank of shelving and drawers. 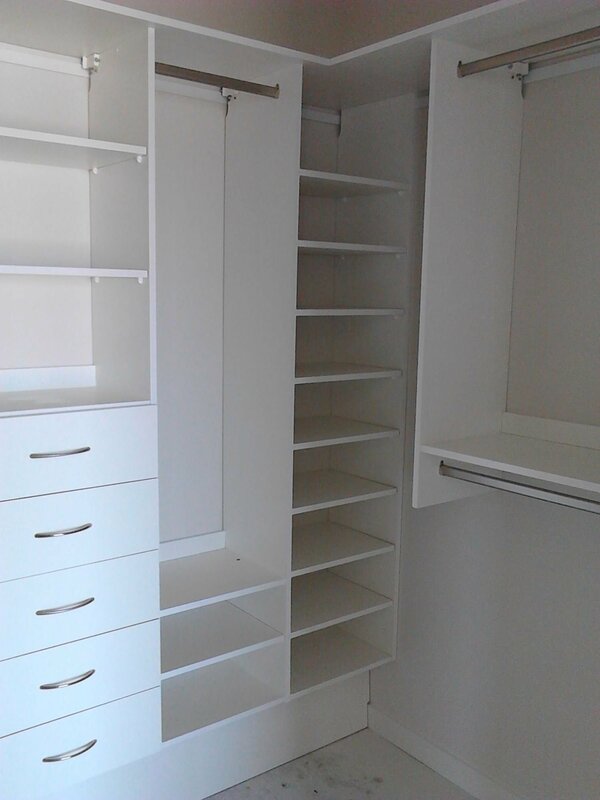 Banks of shelving and drawers with double hanging at the end. 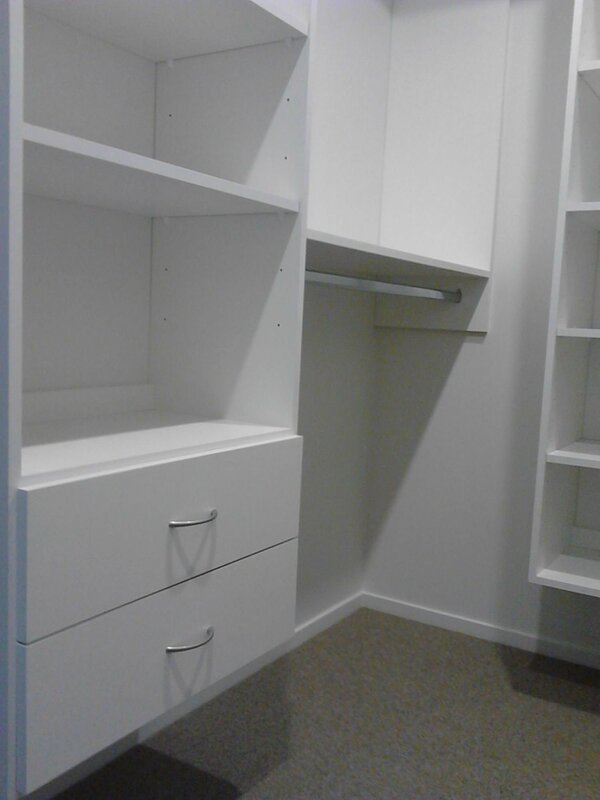 Banks of shelving and drawers with double hanging alongside, with long hanging at the end. 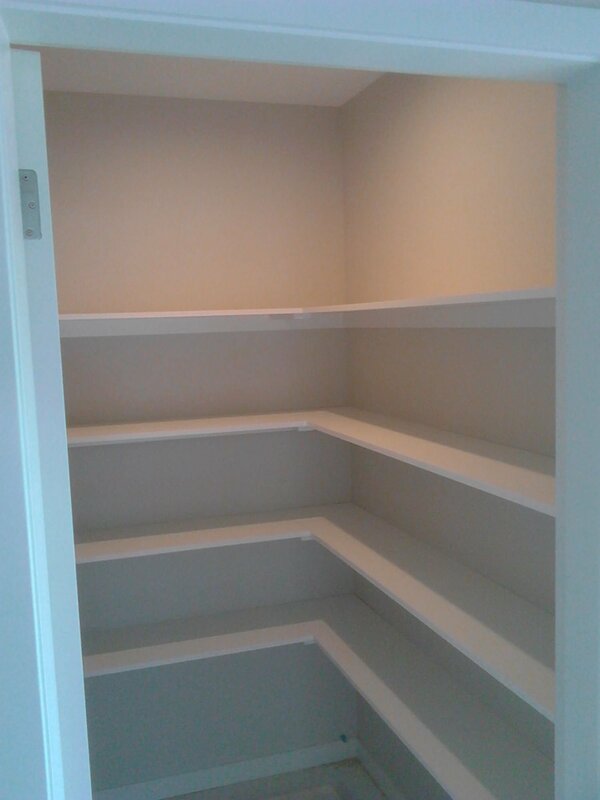 Extra shelving above Long Hanging. 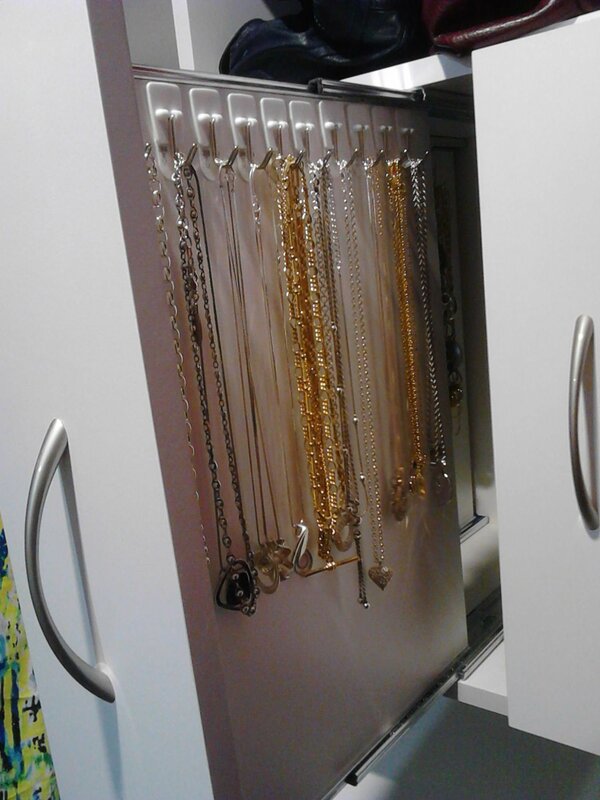 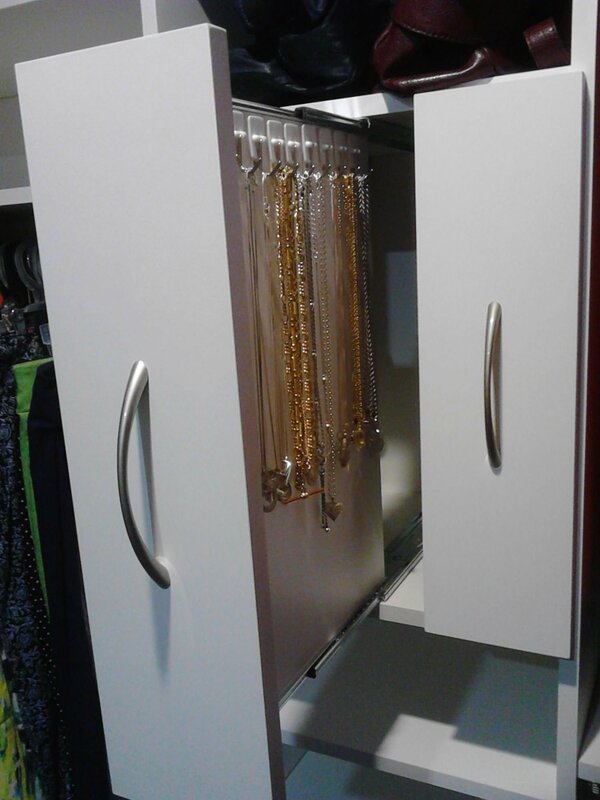 Jewelry can be accessed by pulling each double-sided drawer. 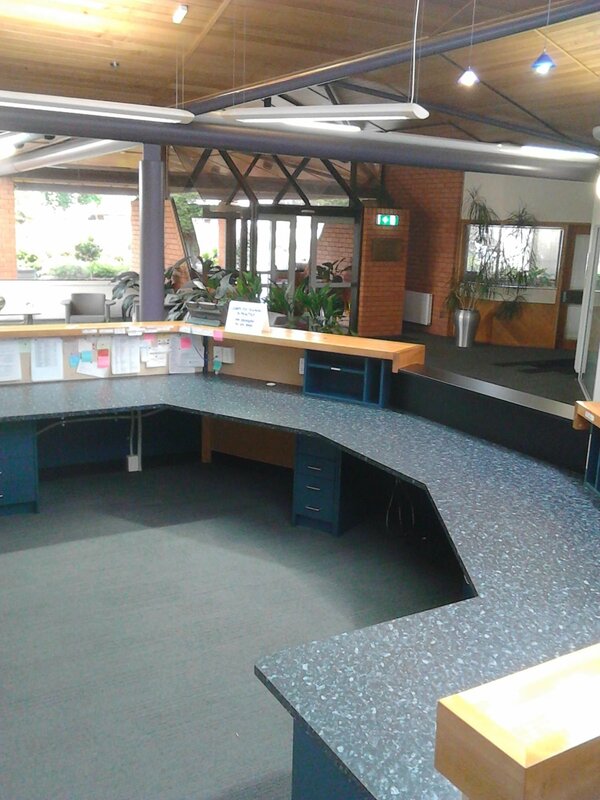 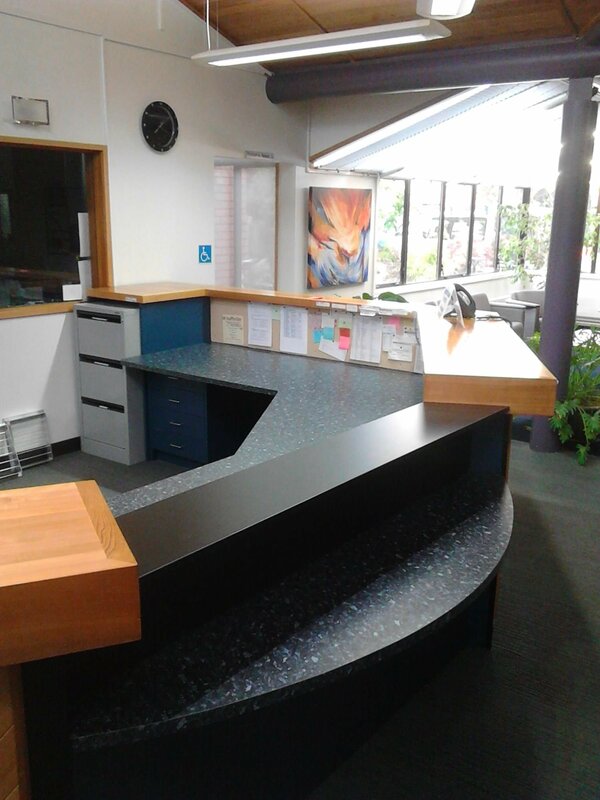 This large Reception area was refitted with a new bench top. 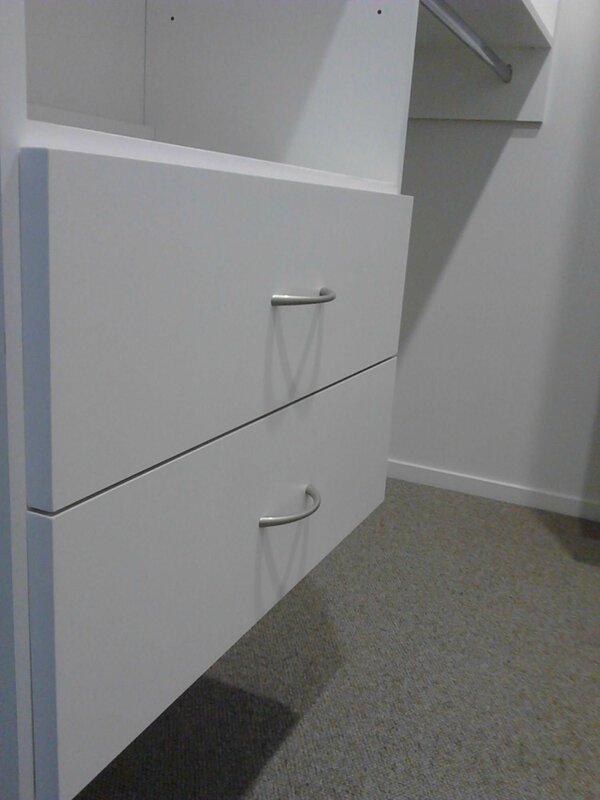 These three drawers are 1 meter long each. 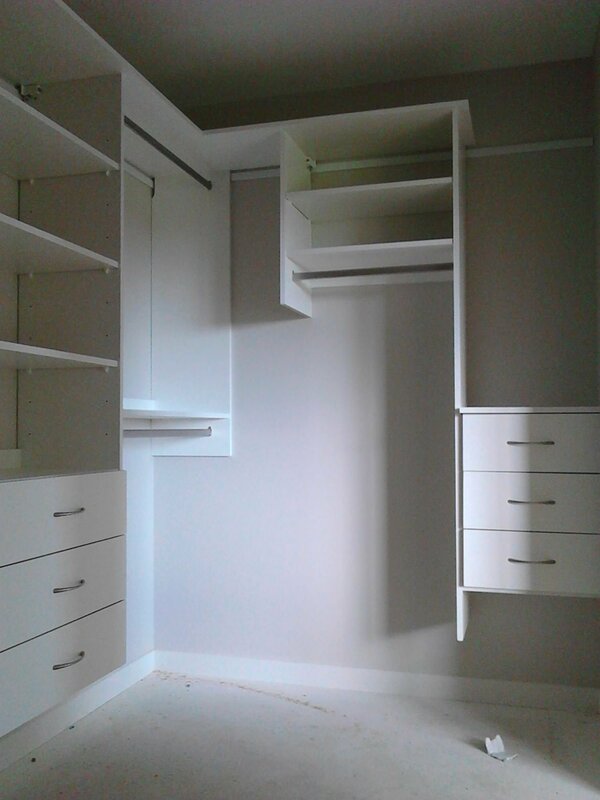 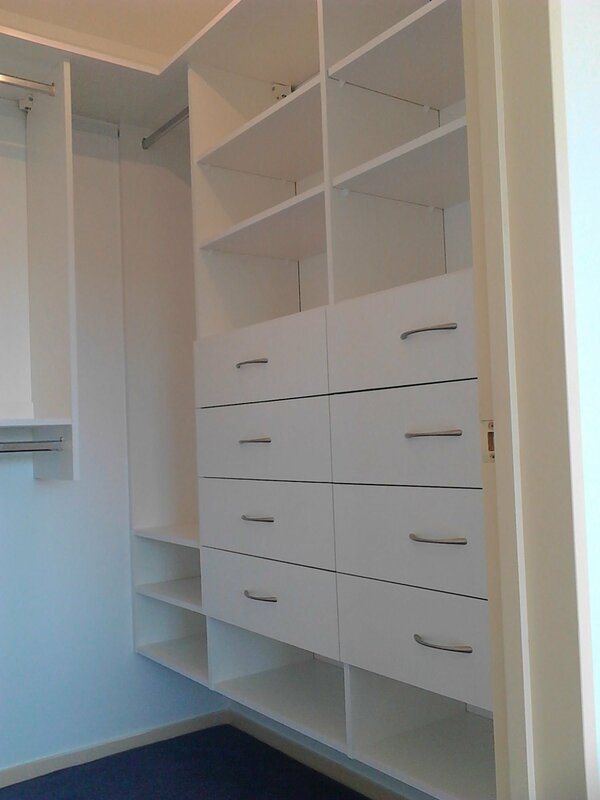 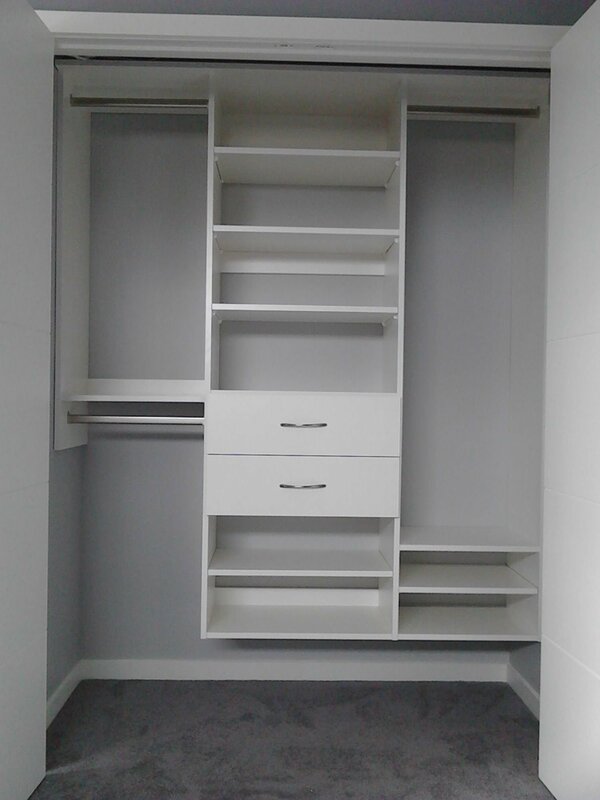 This wardrobe was barely 1 meter wide! 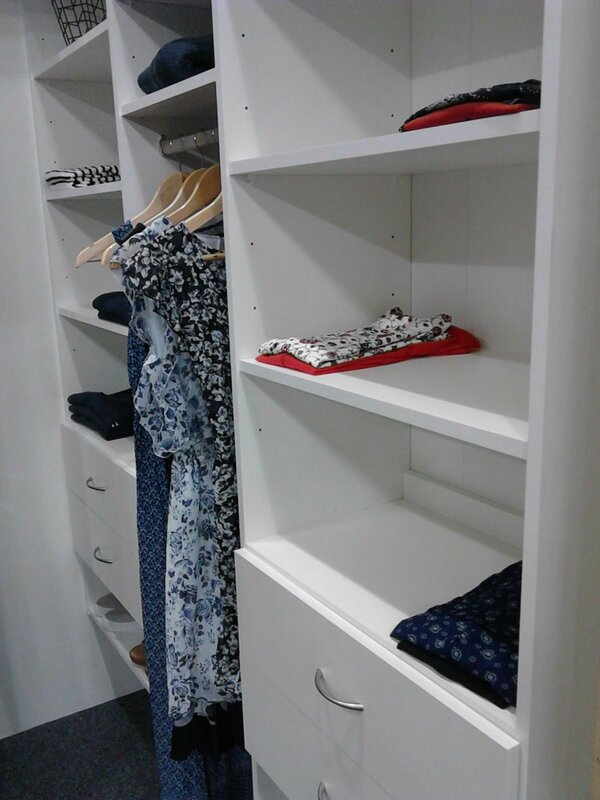 We manged to re-arrange the hanging and install 'pigeon holes' for the folded clothing. 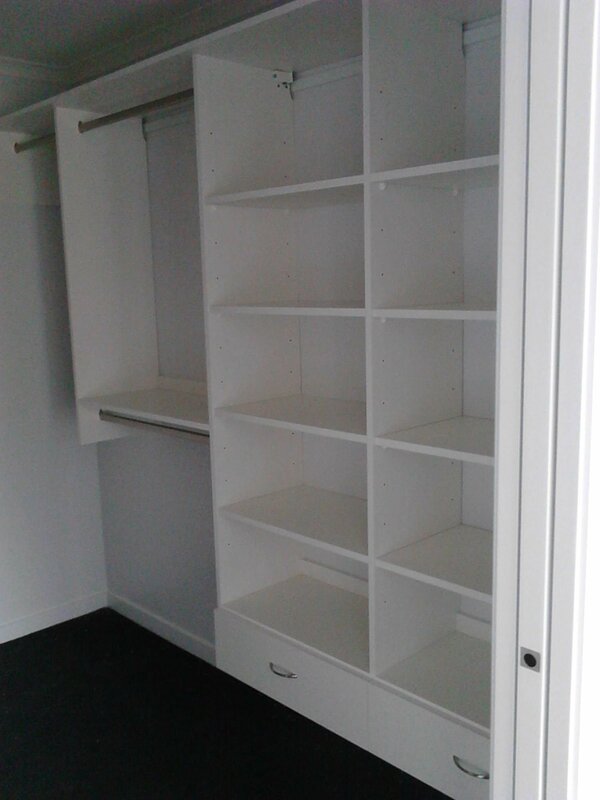 Part of this wardrobe was partitioned off and used as an office area. 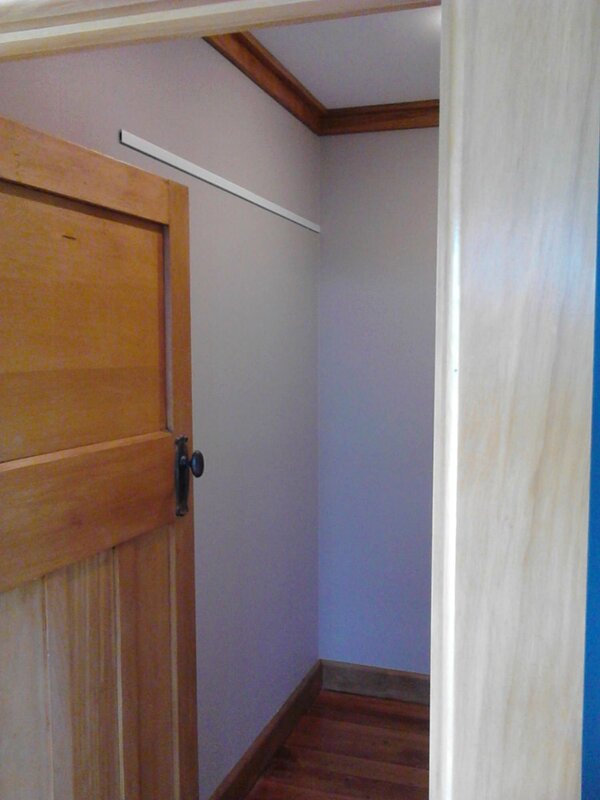 Double short hanging on the left wall. 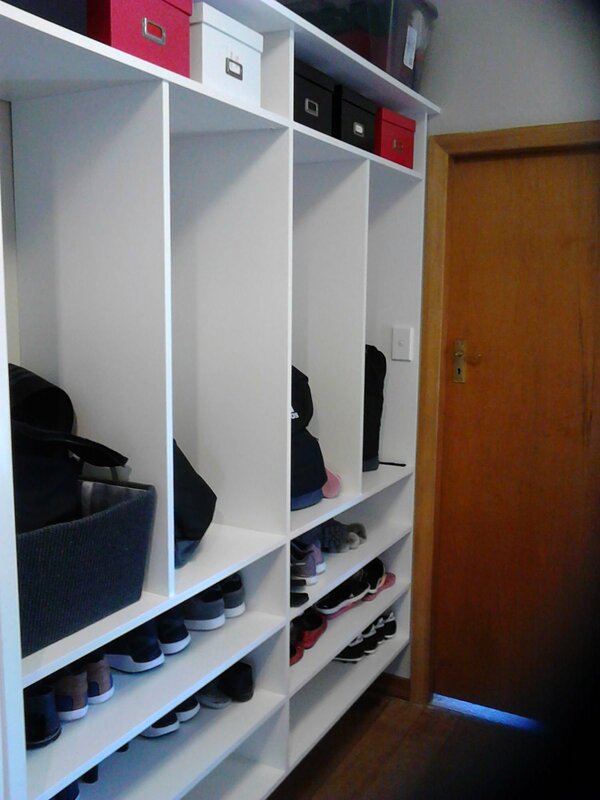 Shelving for shoes in the corner followed by long hanging, and then drawers and shelving. 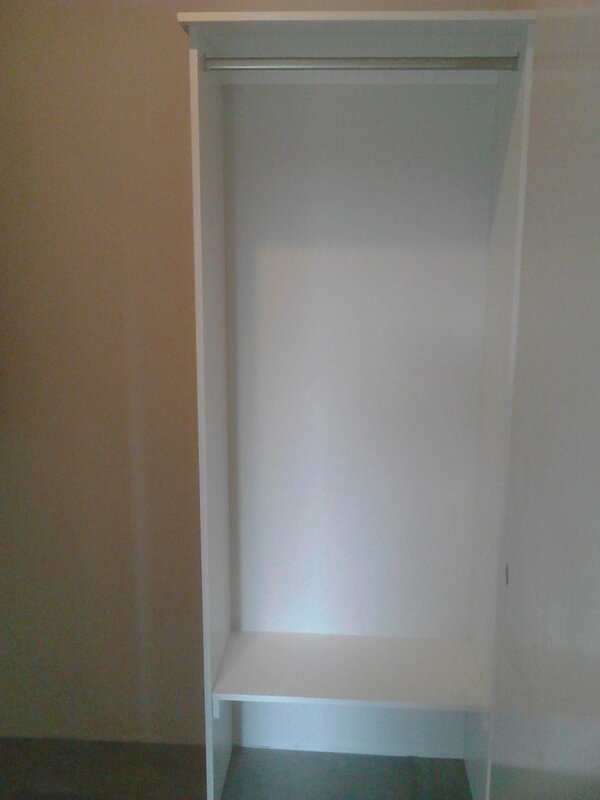 This was mirrored on the other half of the wardrobe. 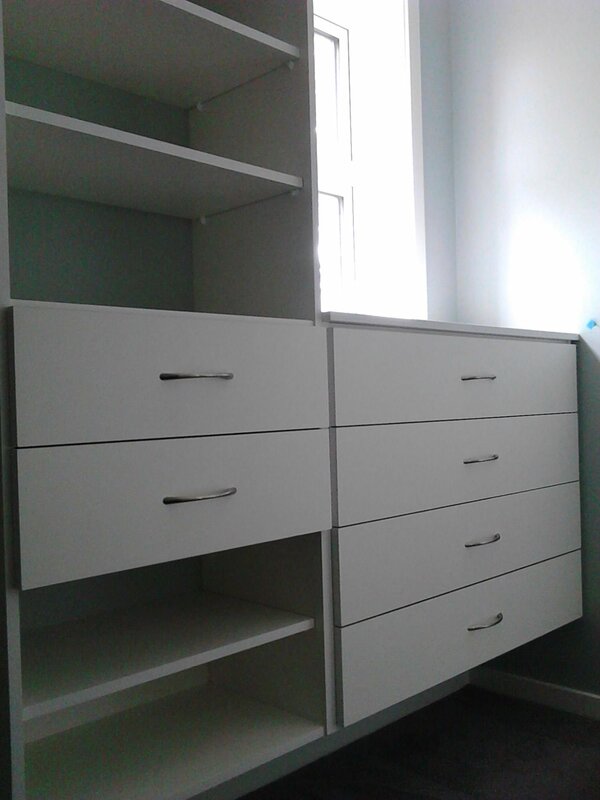 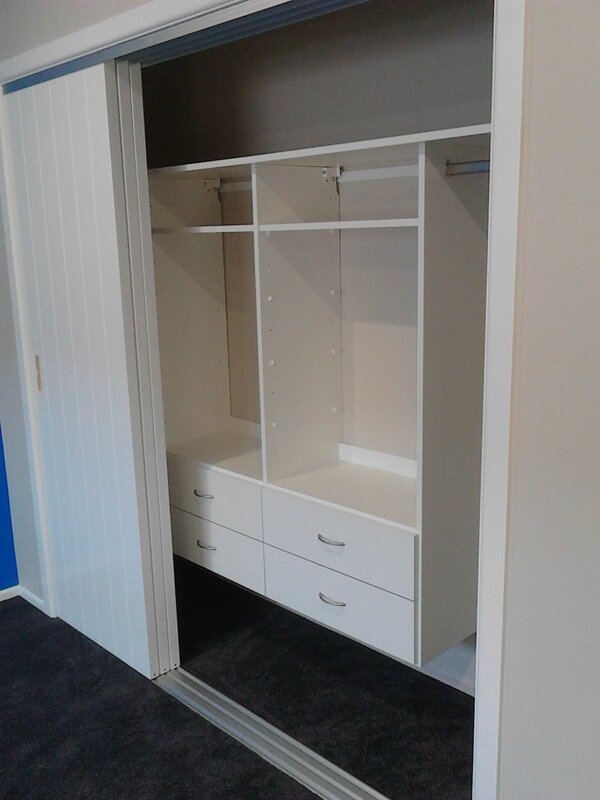 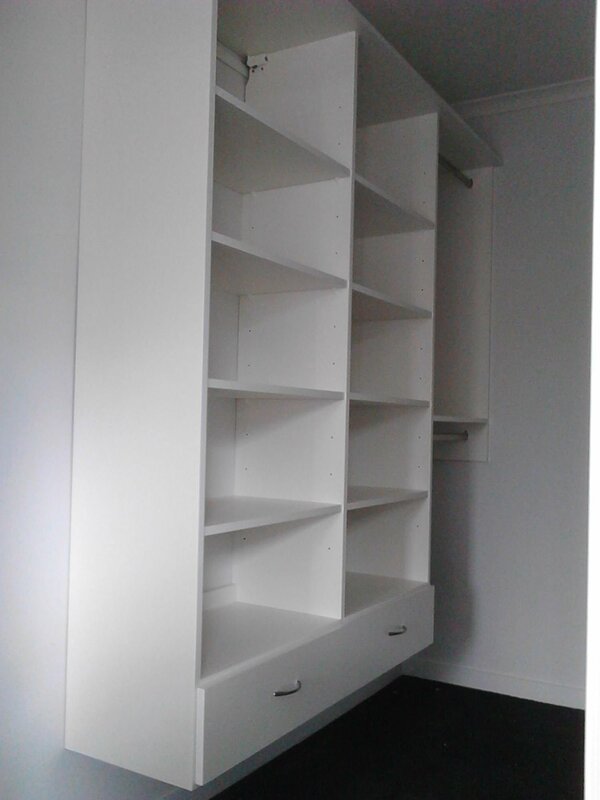 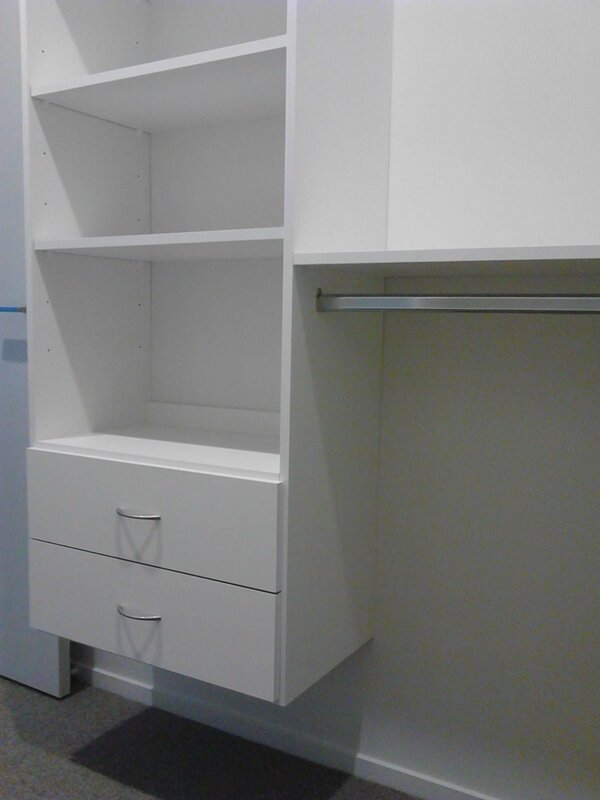 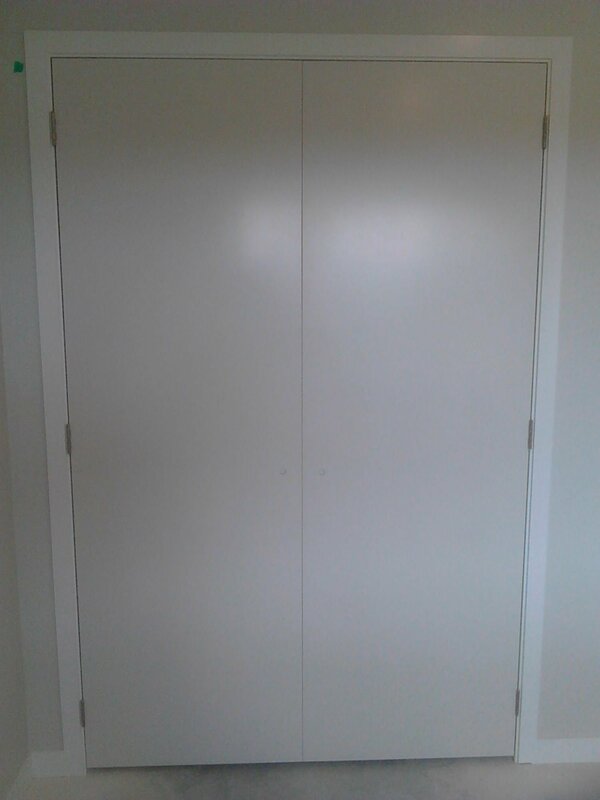 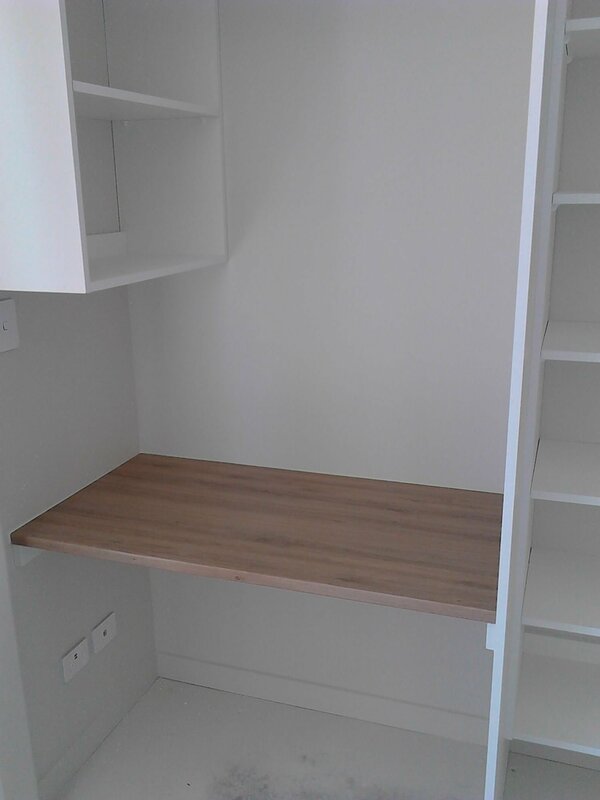 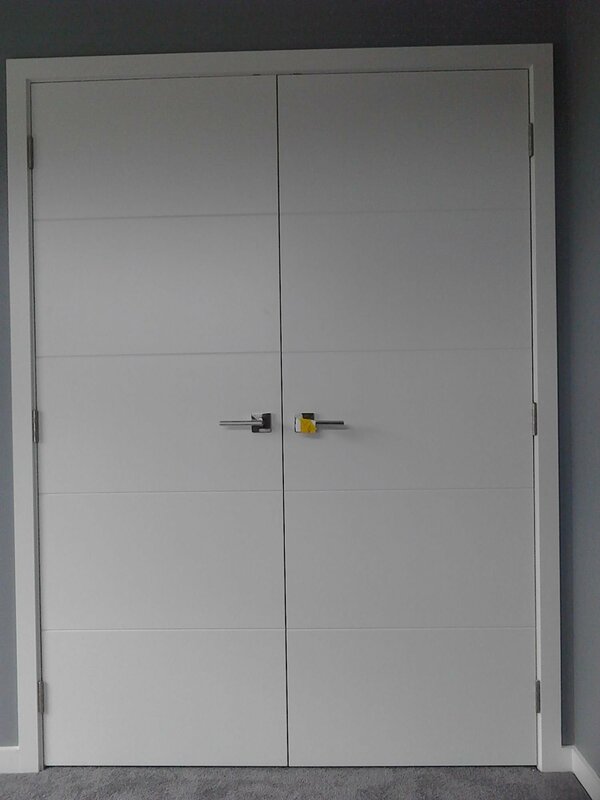 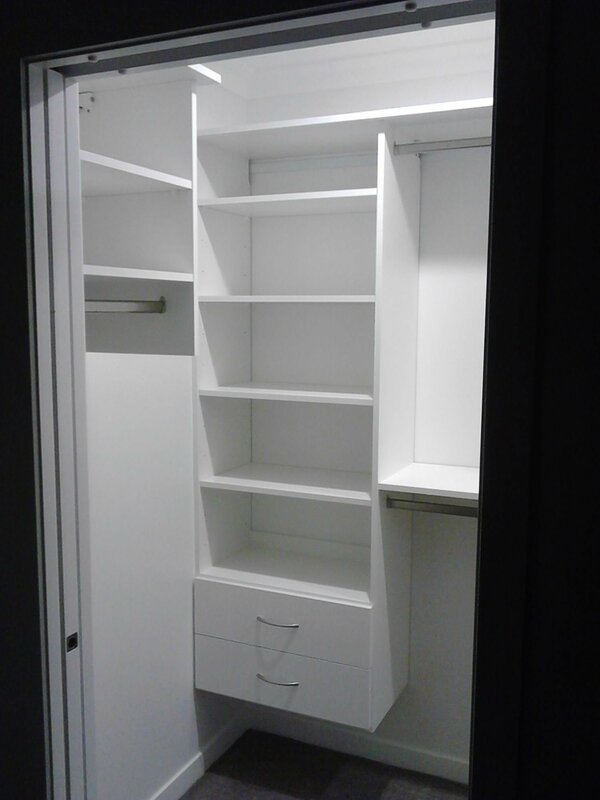 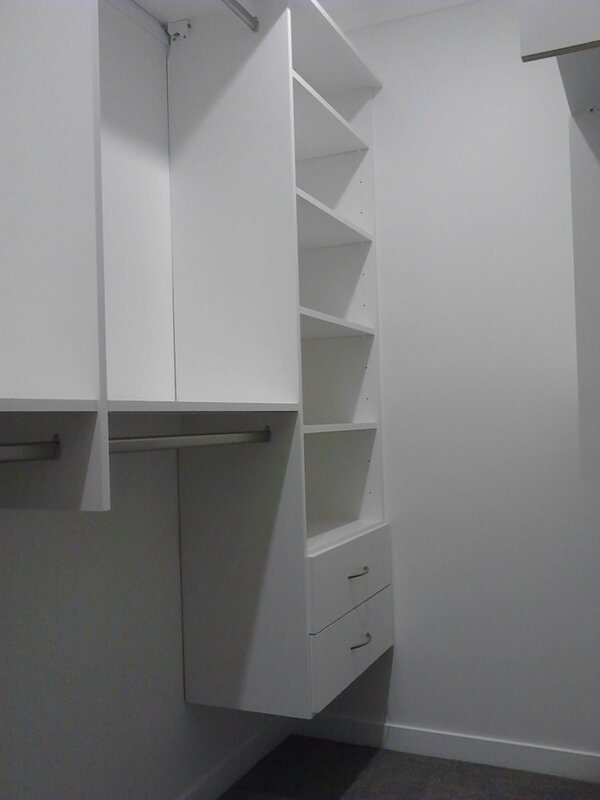 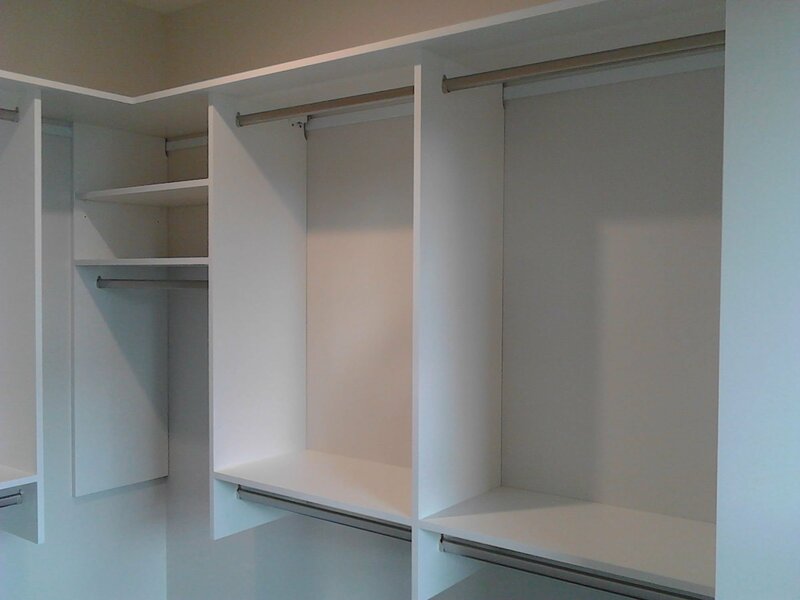 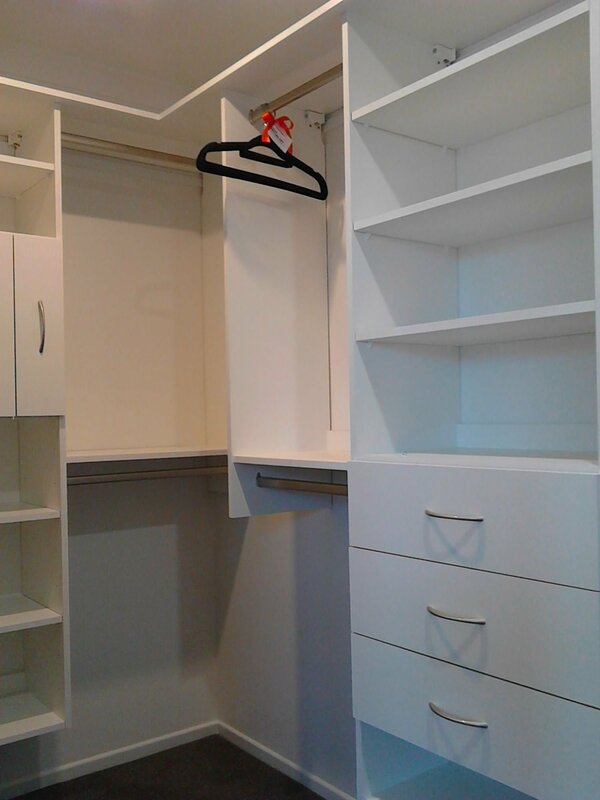 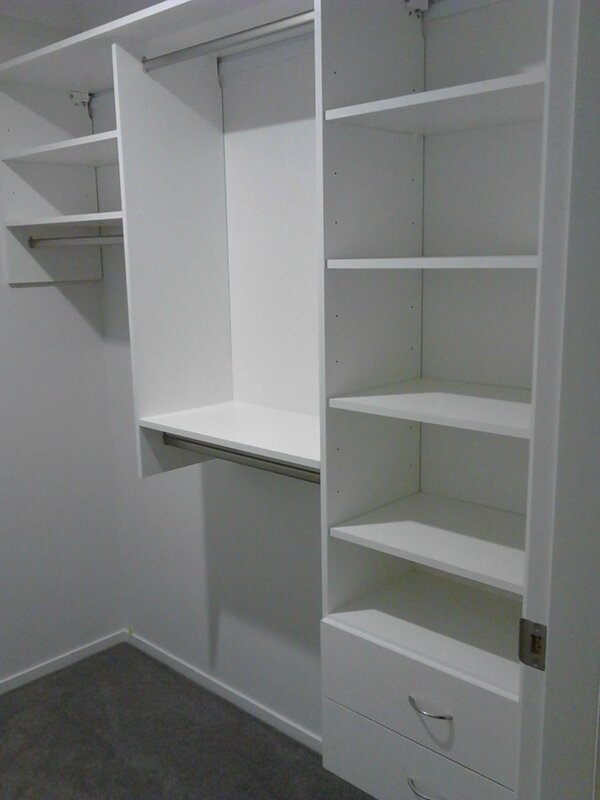 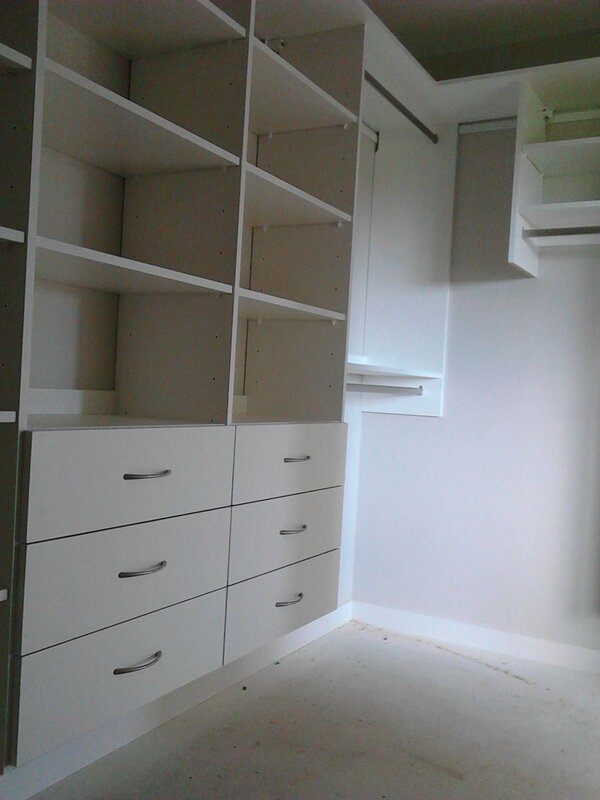 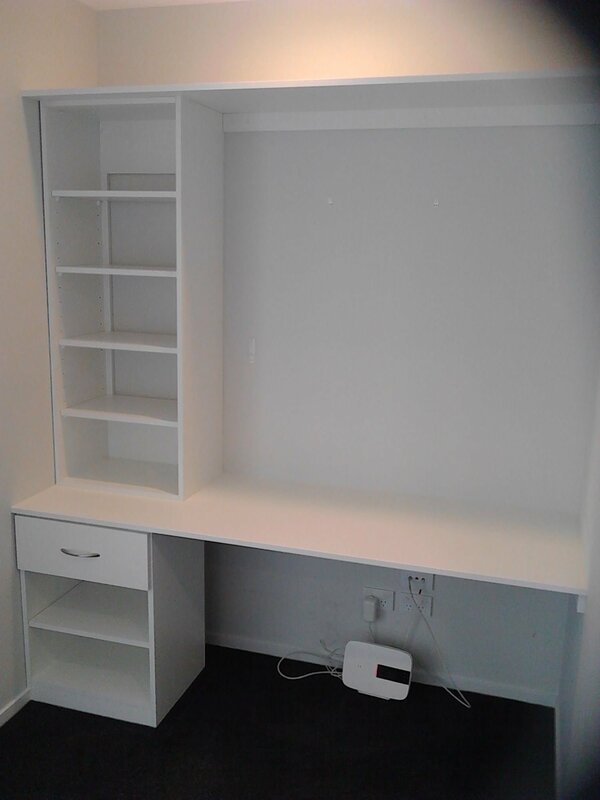 This wardrobe was partitioned off and fitted out as an office area. 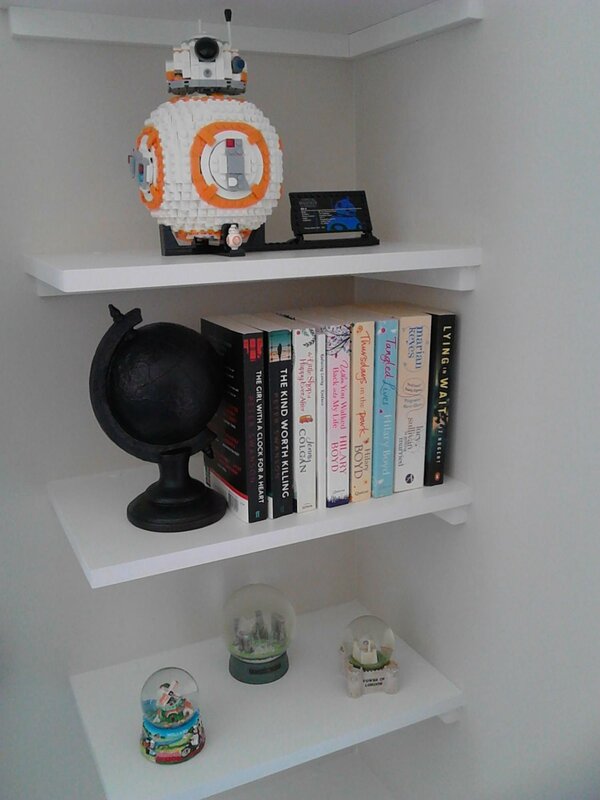 It has been a childhood dream of mine to have floor-to-ceiling shelving for displaying novels, inspired by the massive library in "Beauty & The Beast". 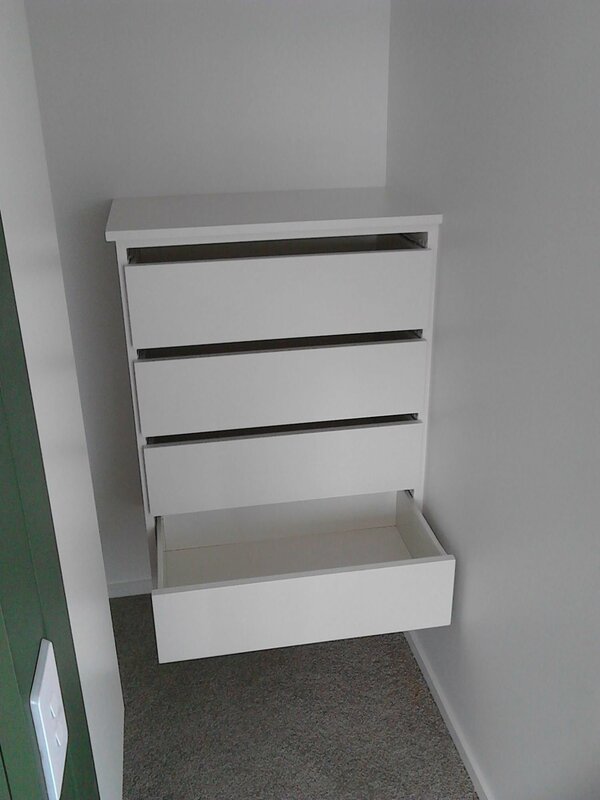 I took this idea to Byron who enthusiastically came up with a modernised design based on my animated gesturing and vague description. 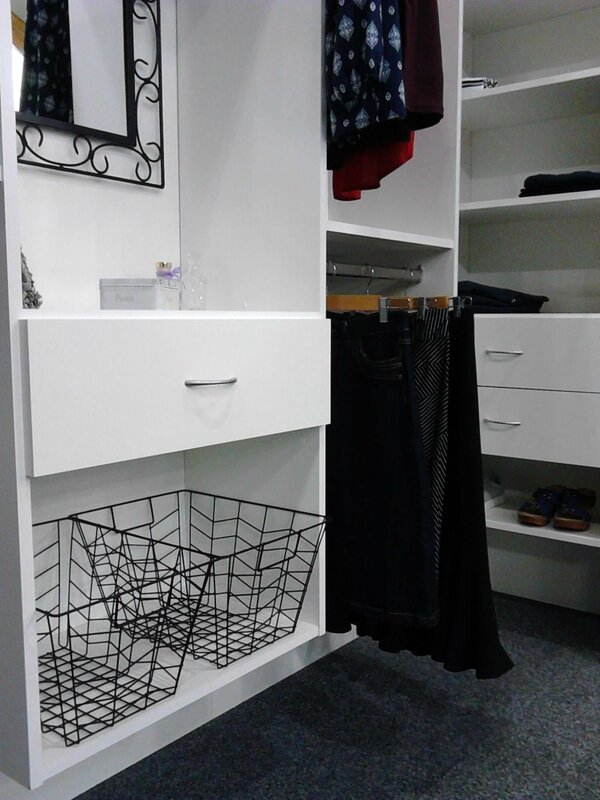 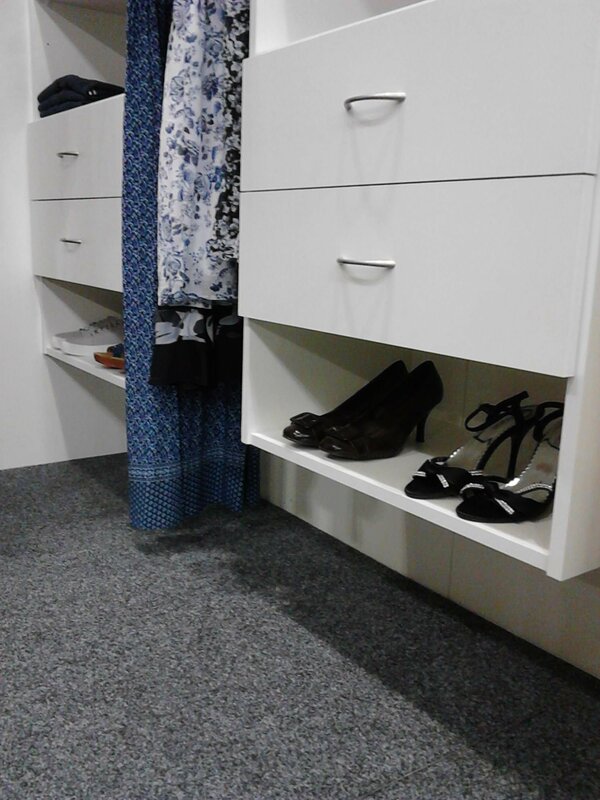 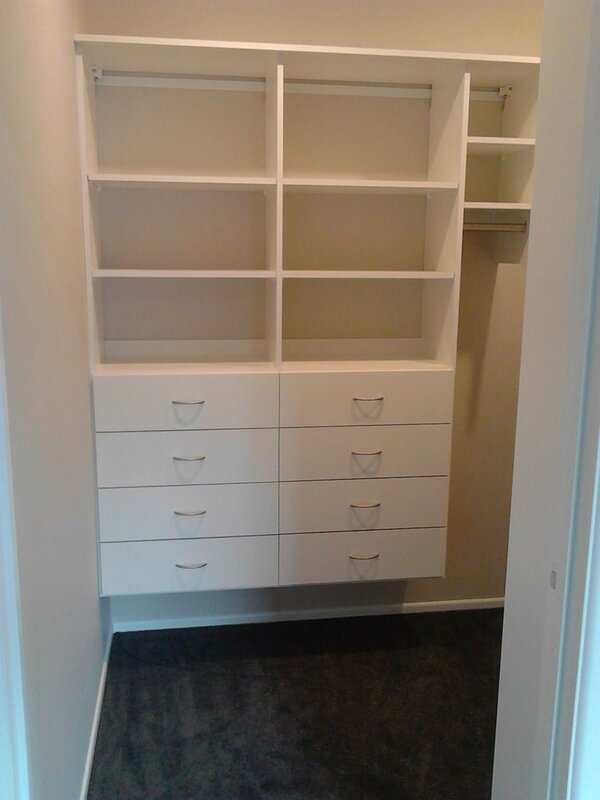 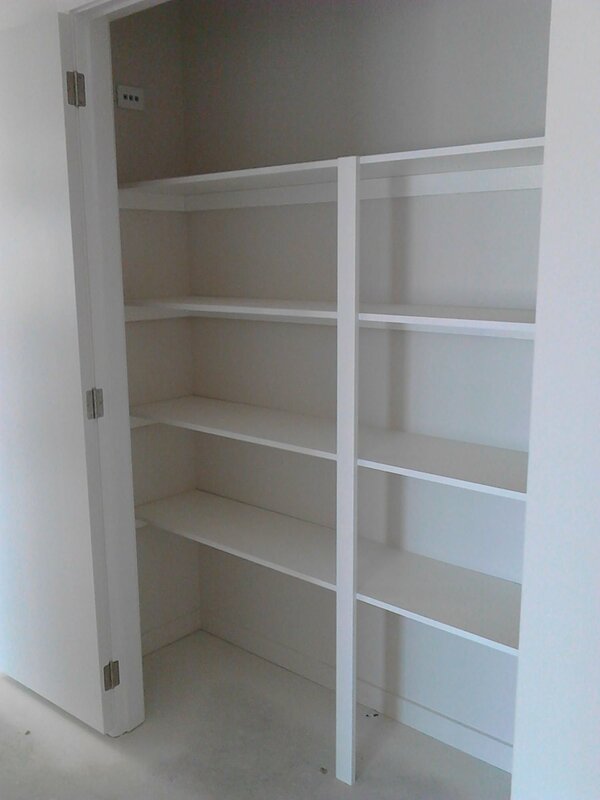 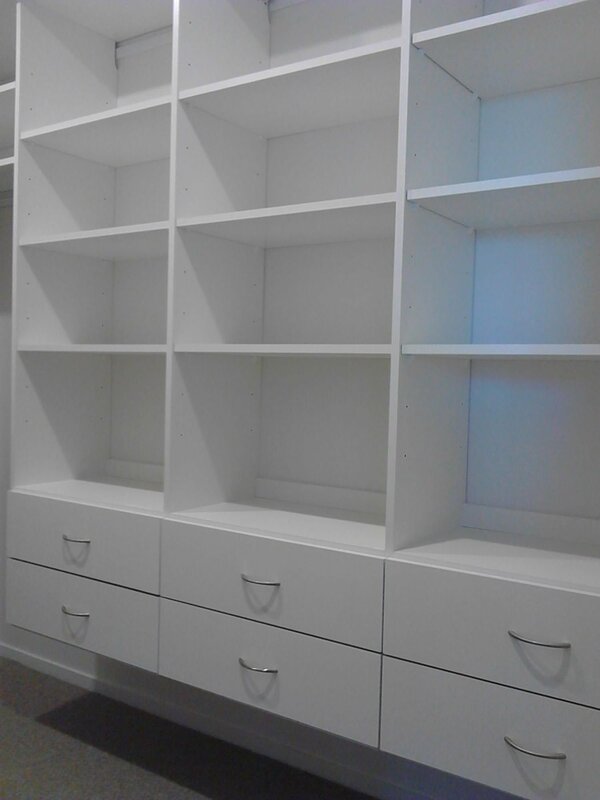 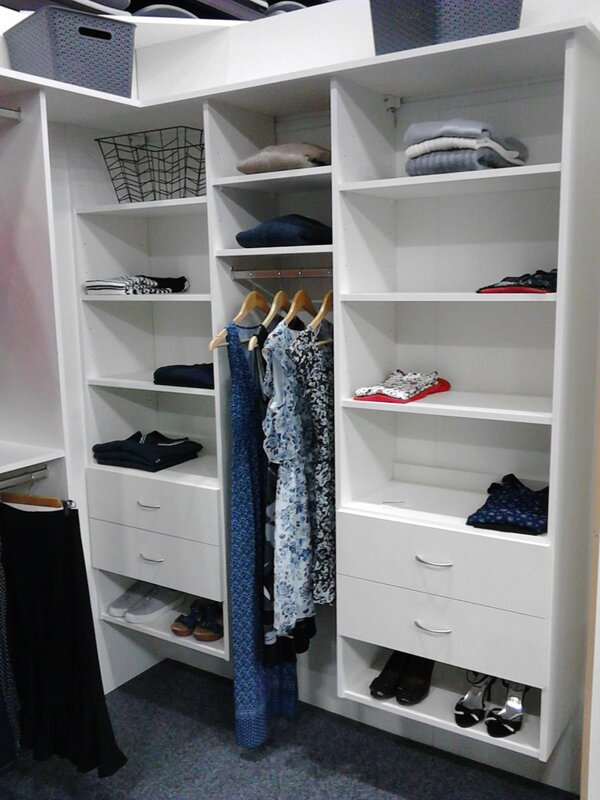 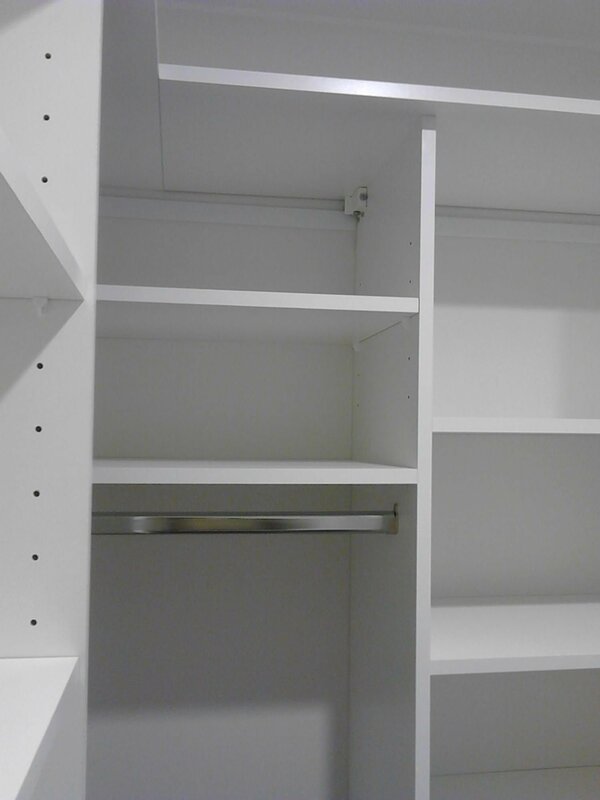 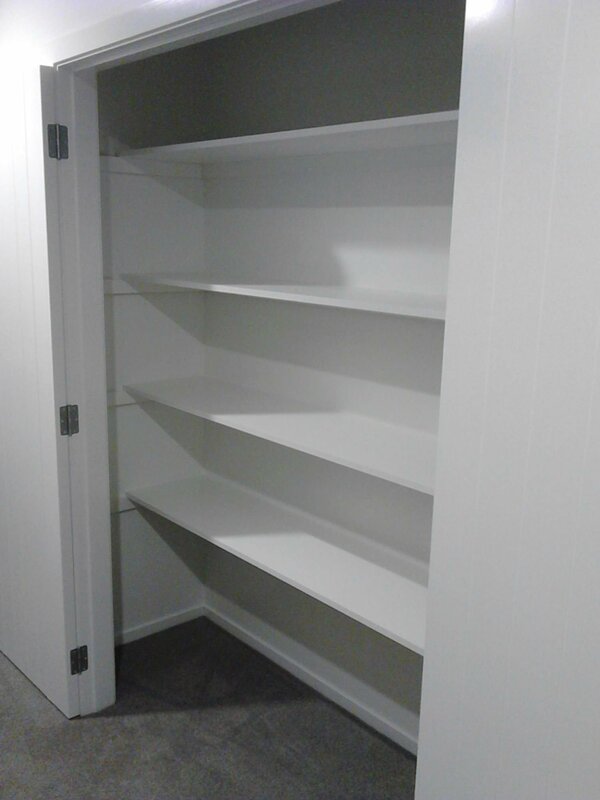 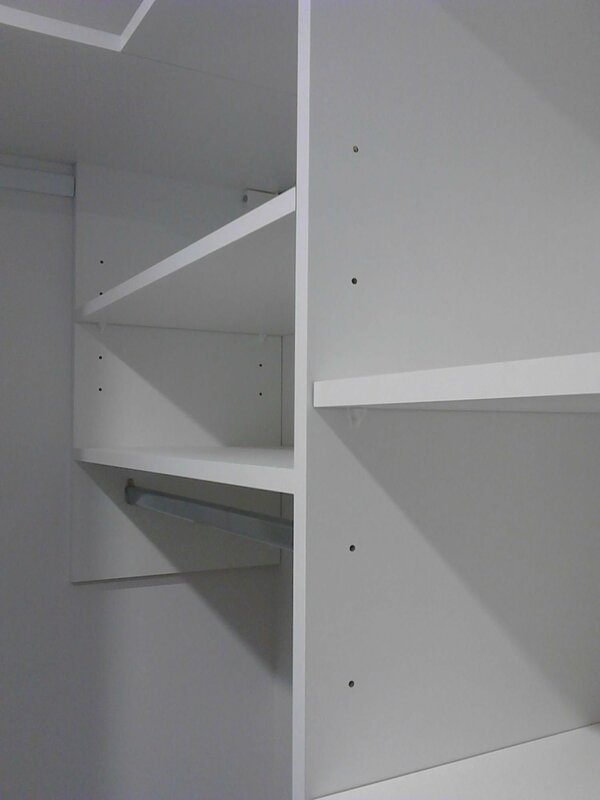 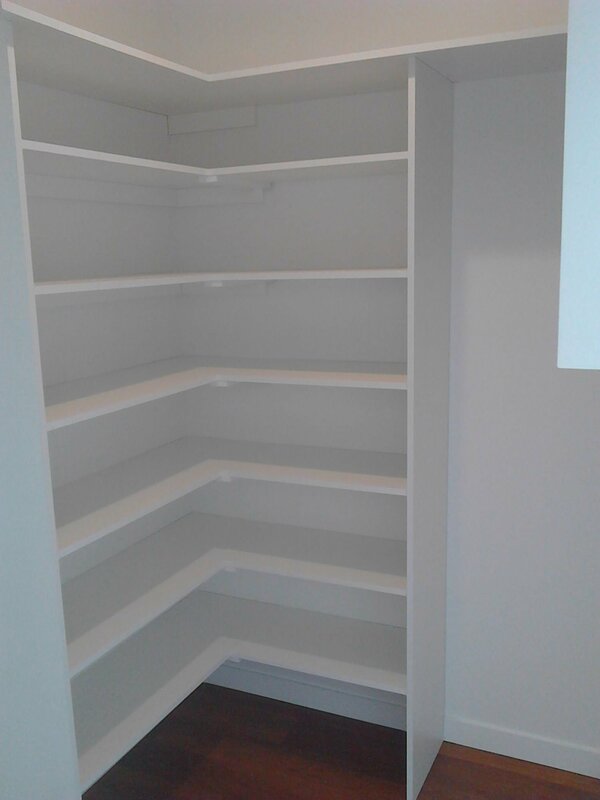 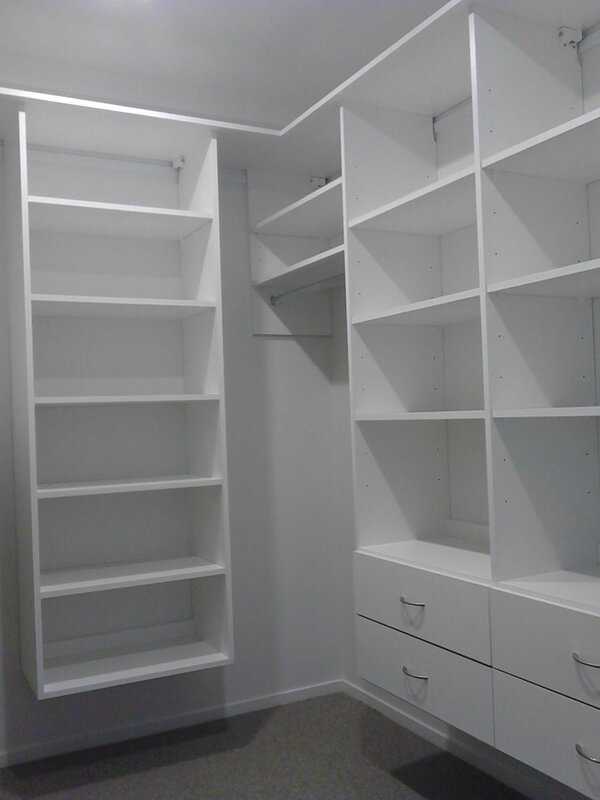 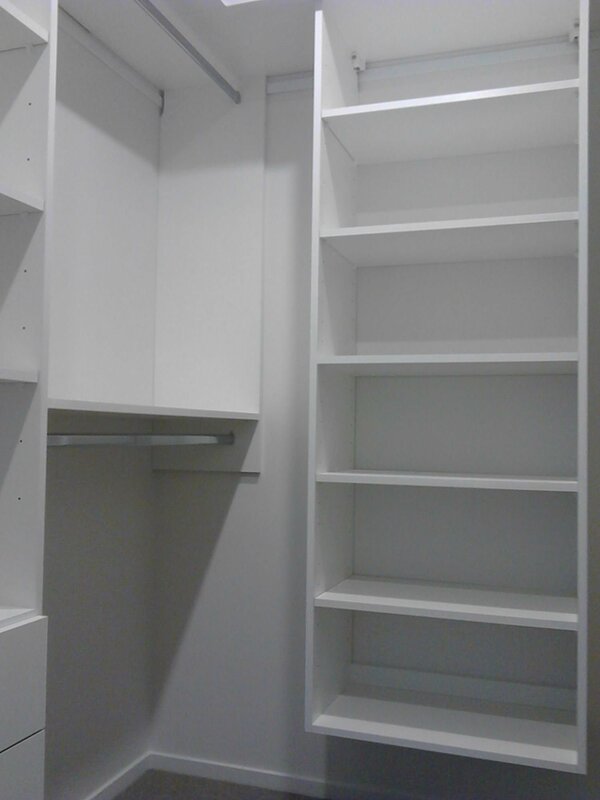 Communication with The Wardrobe Specialist was prompt and effective, and the shelving installation was carried out and completed in an efficient and tidy manner. 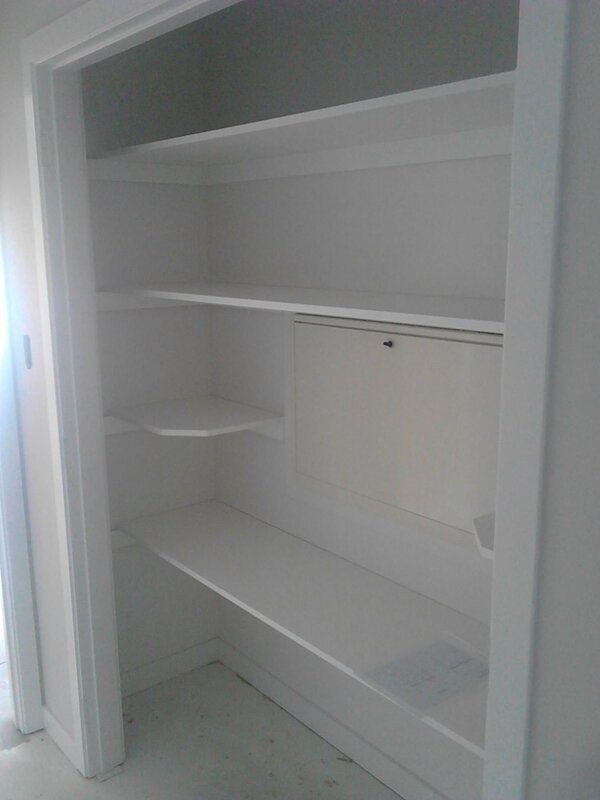 Thank you for delivering what you promised! 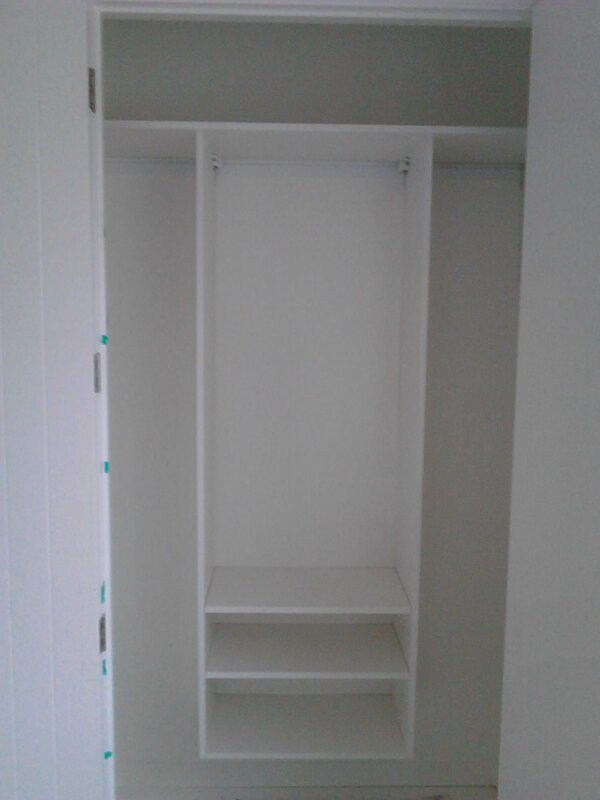 I am so pleased with our new wardrobes! 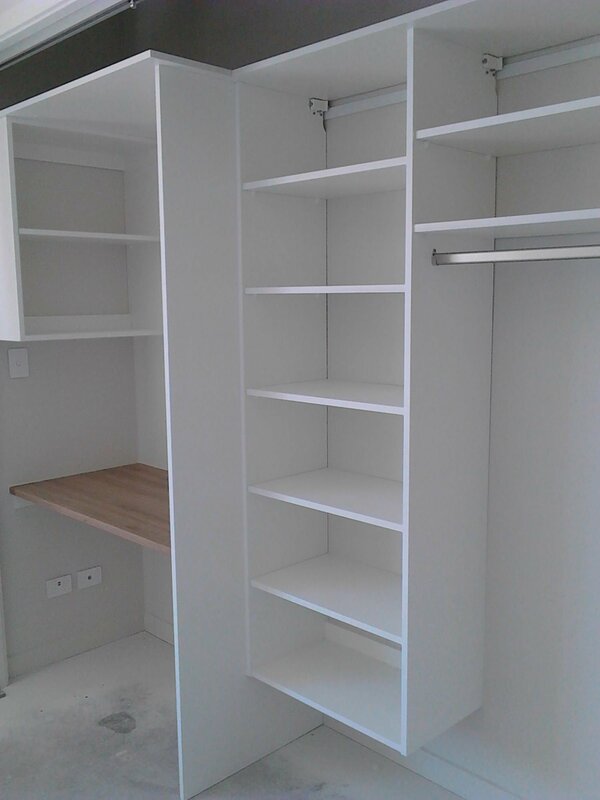 Byron was easy to communicate with from the first phone call, to our installation. 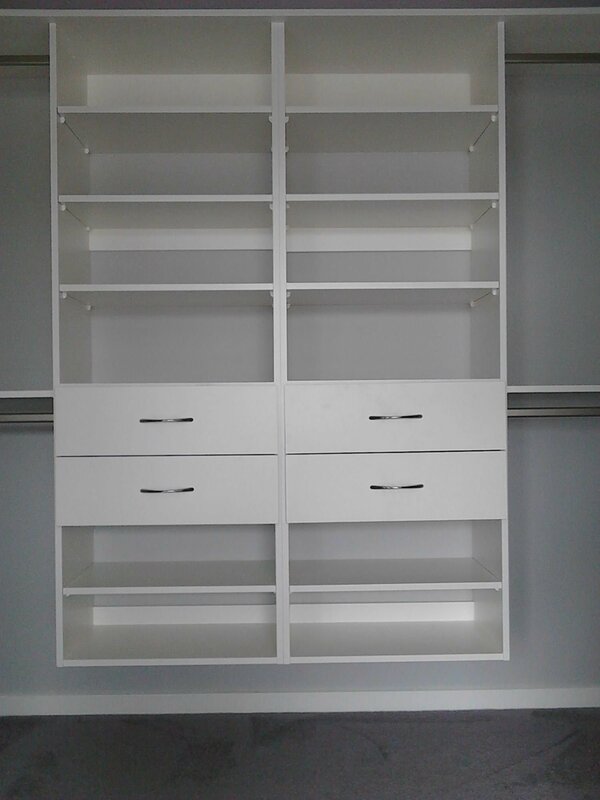 He measured the job around our young, tired, hot boys after their first day back at school and so kindly answered all their questions. 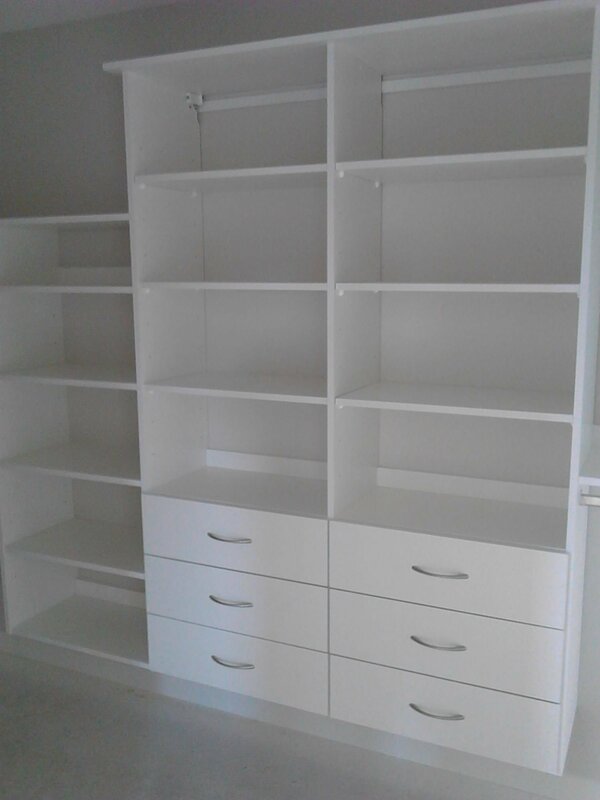 Communication was great throughout the job and our job was so promptly completed. 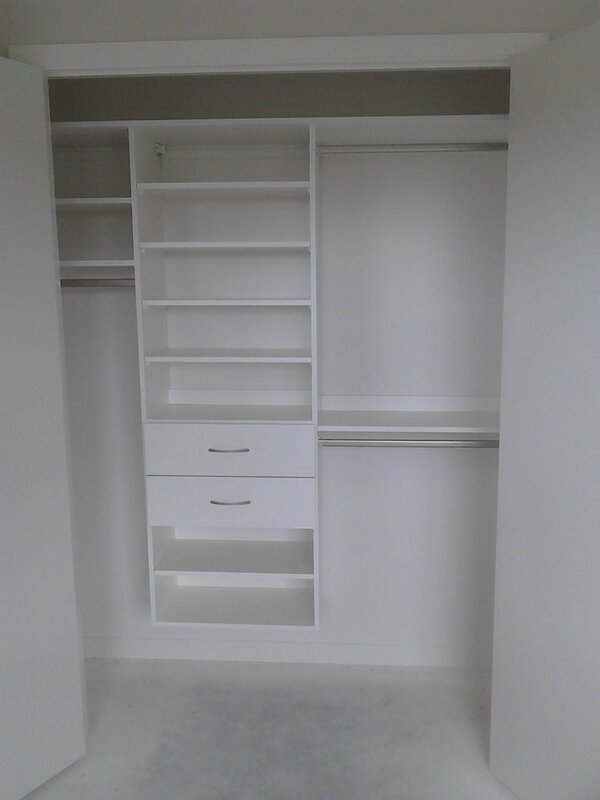 I highly recommend Byron at Wardrobe Specialist for a great job. 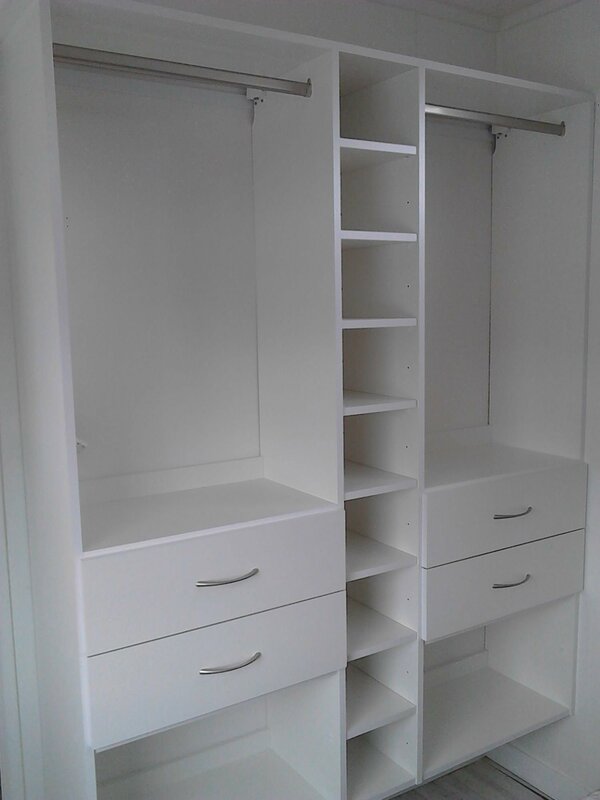 I recently made contact with Wardrobe Specialists Ltd to provide wardrobe options for our new house build. 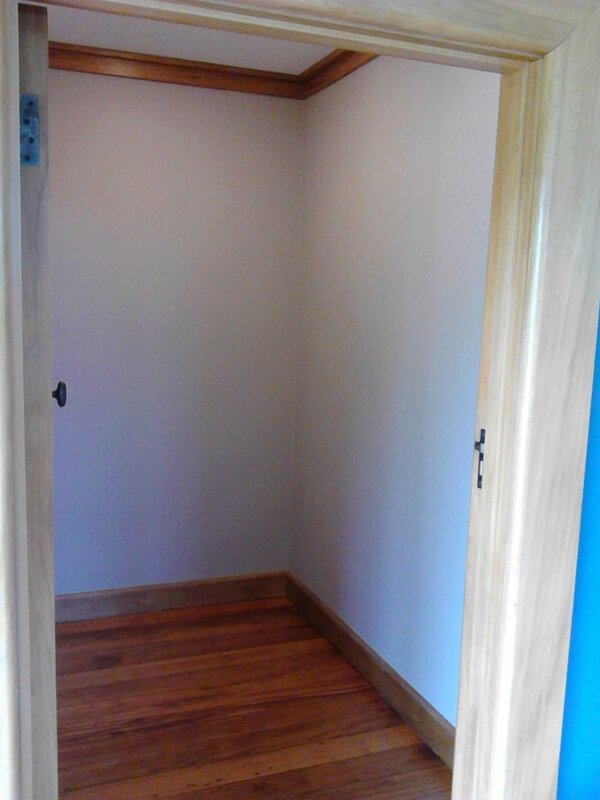 The service I received was fast and efficient and all my choices and options were fully explained to me. 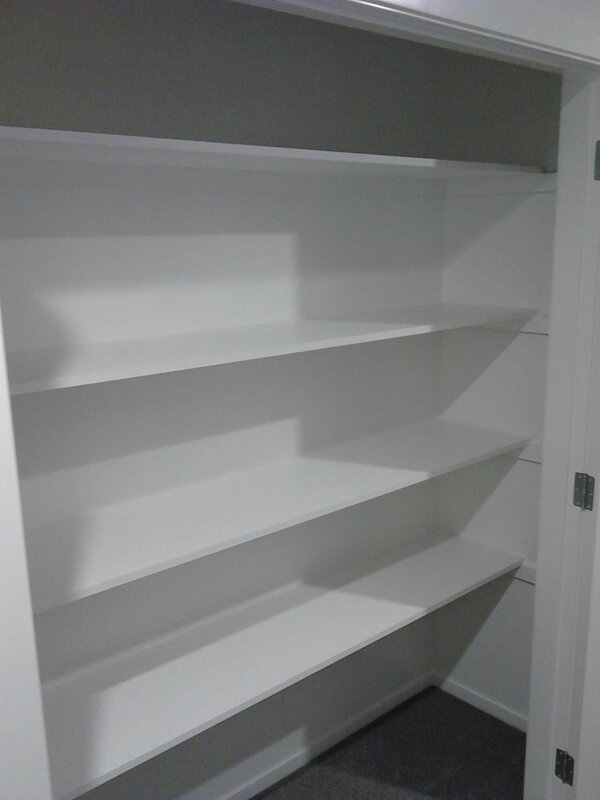 The installation was quick and left very tidy. 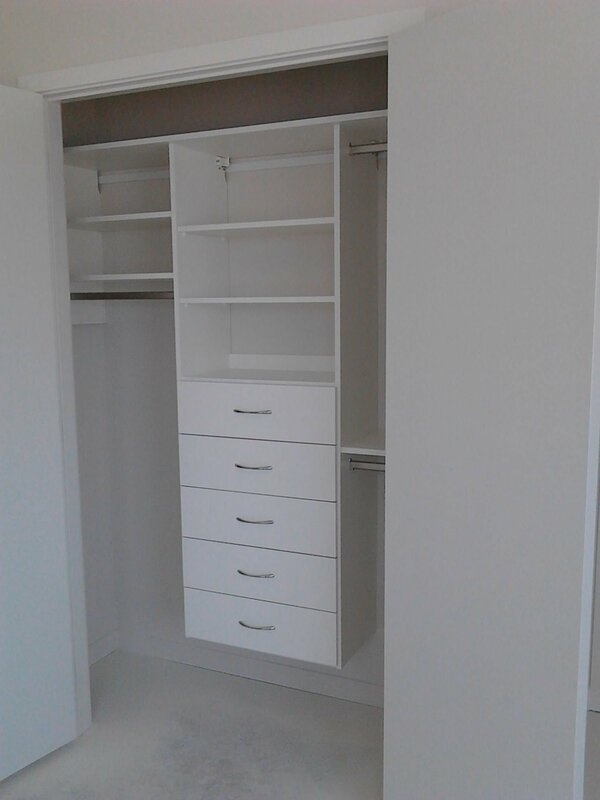 100% pleased with the end result – the wardrobes are absolutely perfect. 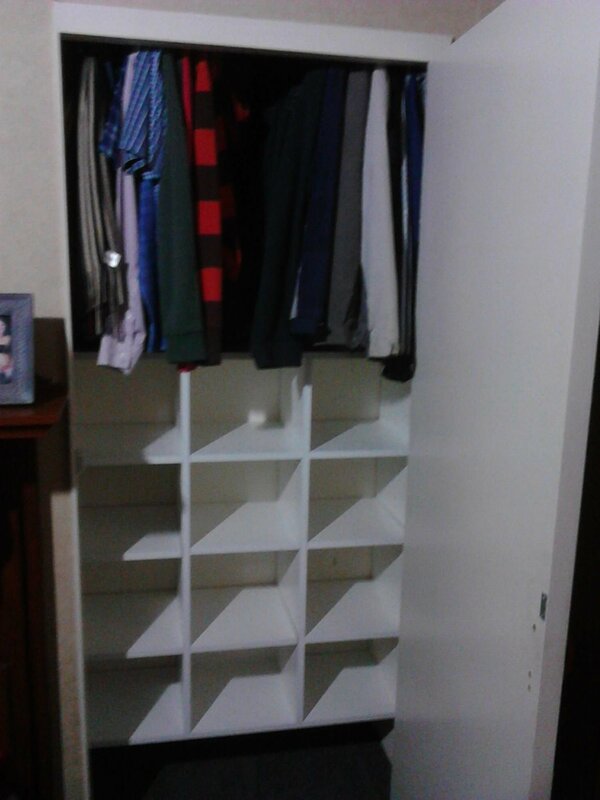 I will most definitely use Byron & Gaylyn again and I have already recommended Wardrobe Specialists to friends. 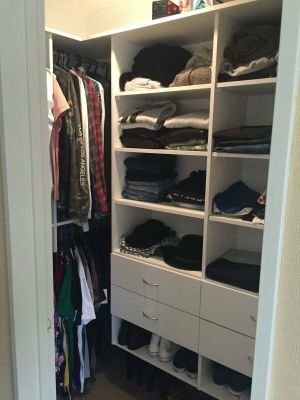 Thank you Wardrobe Specialists! 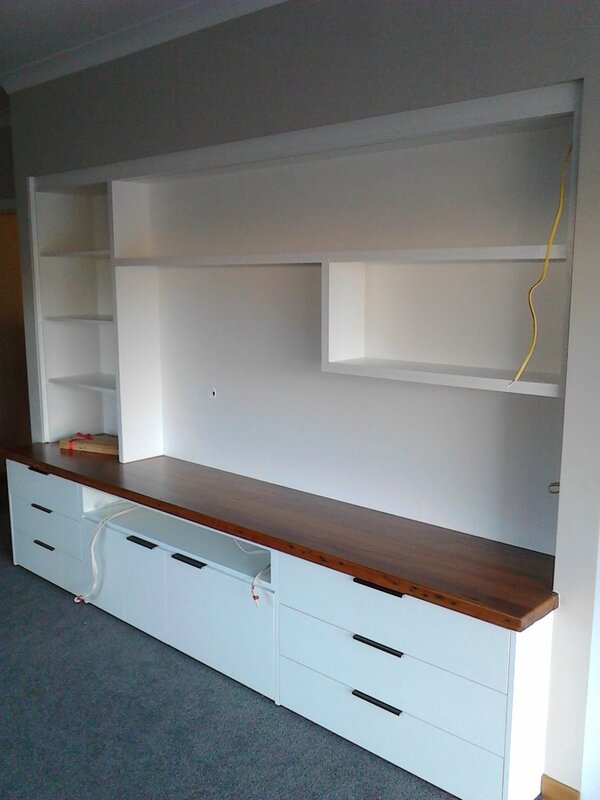 Byron and Ryan were outstanding in designing, problem-solving and creating a beautiful, built-in entertainment unit in a very tricky space in our lounge. 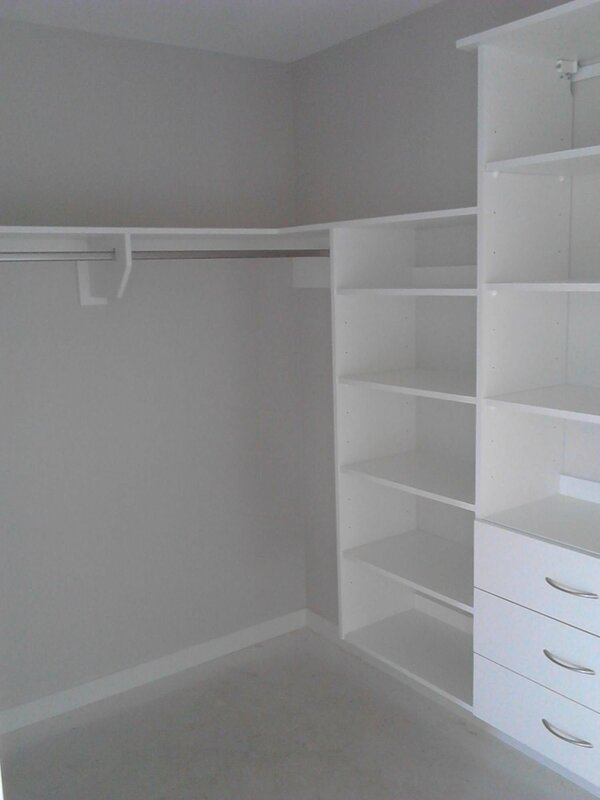 They were meticulous in the planning and preparation and we couldn’t be happier with the finished product. 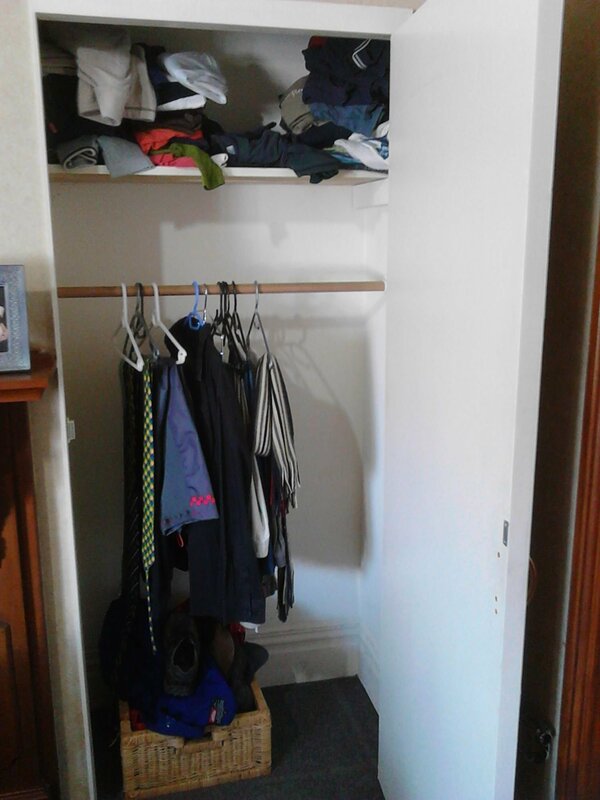 Bryon and Ryan also created a highly functional storage space in our laundry area, finally solving a ‘shoe management crisis’ created by 4 teenagers! 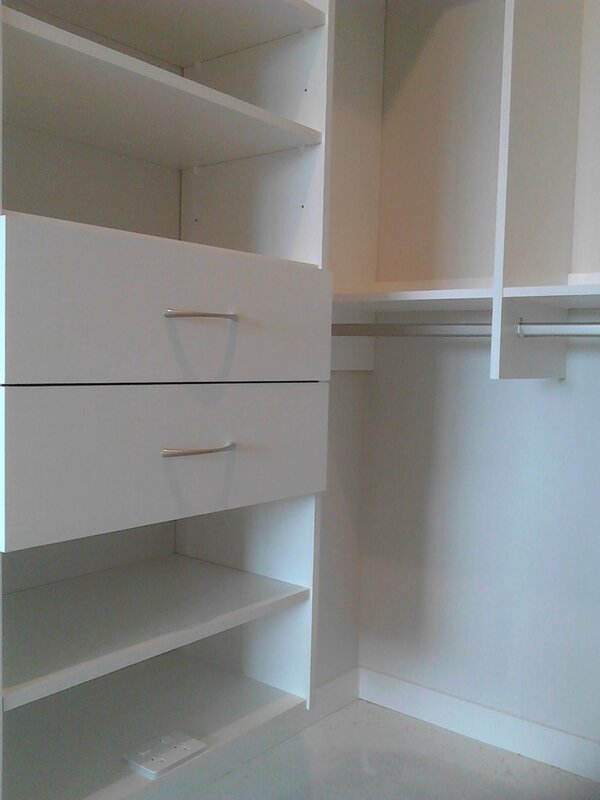 I highly recommend Wardrobe Specialists. 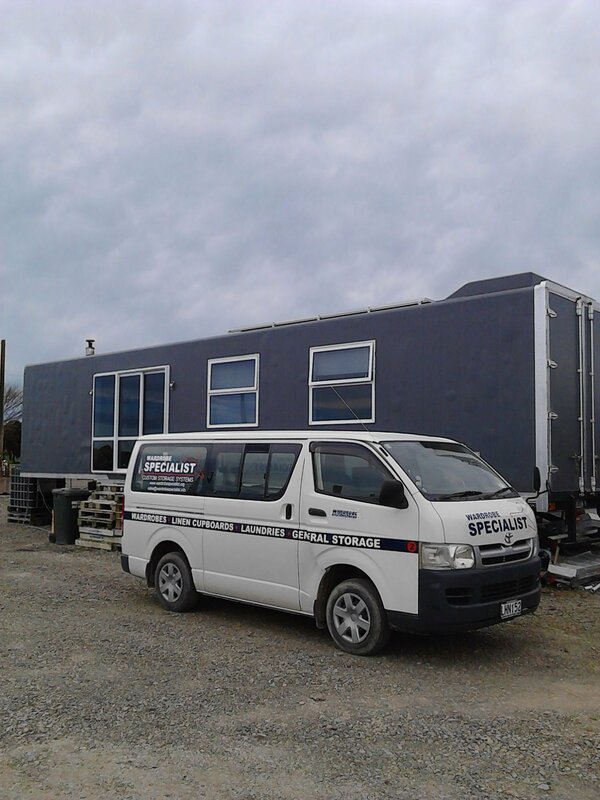 Byron provides excellent service and high quality products and is a pleasure to deal with.